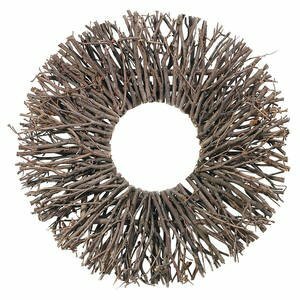 I’ve been getting a lot of questions lately about how I decorate a room. 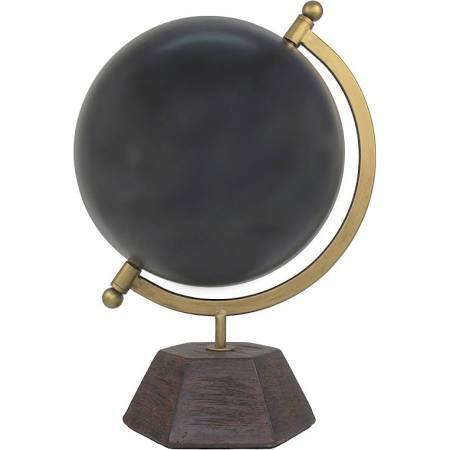 Many of you have said you just can’t visualize something, but you can mimick it when you see it. 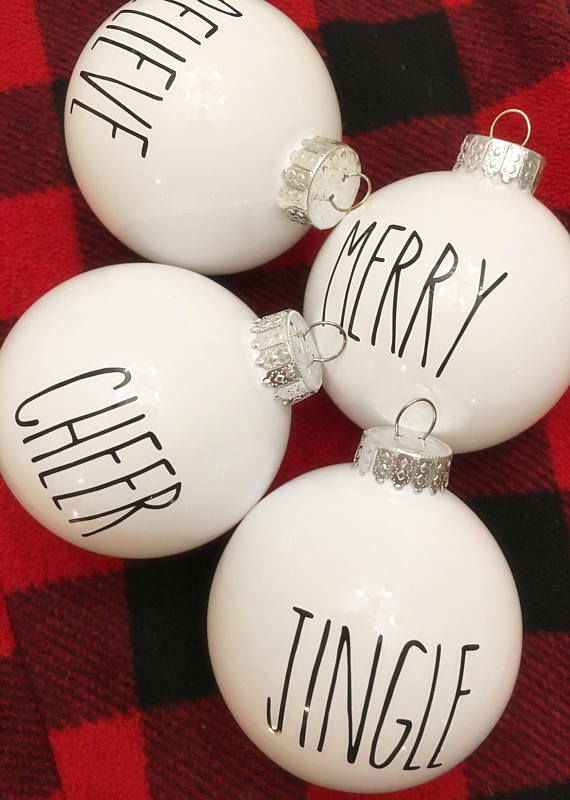 So I’ve taken your questions and concerns and have created a comprehensive guide to shopping and decorating for this holiday season. 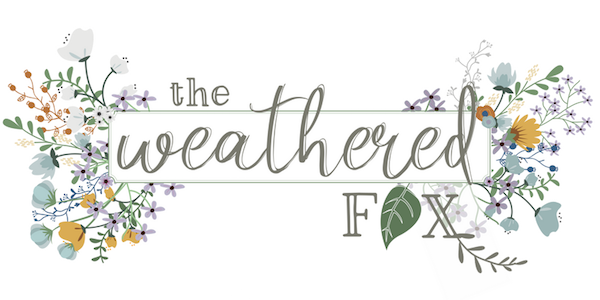 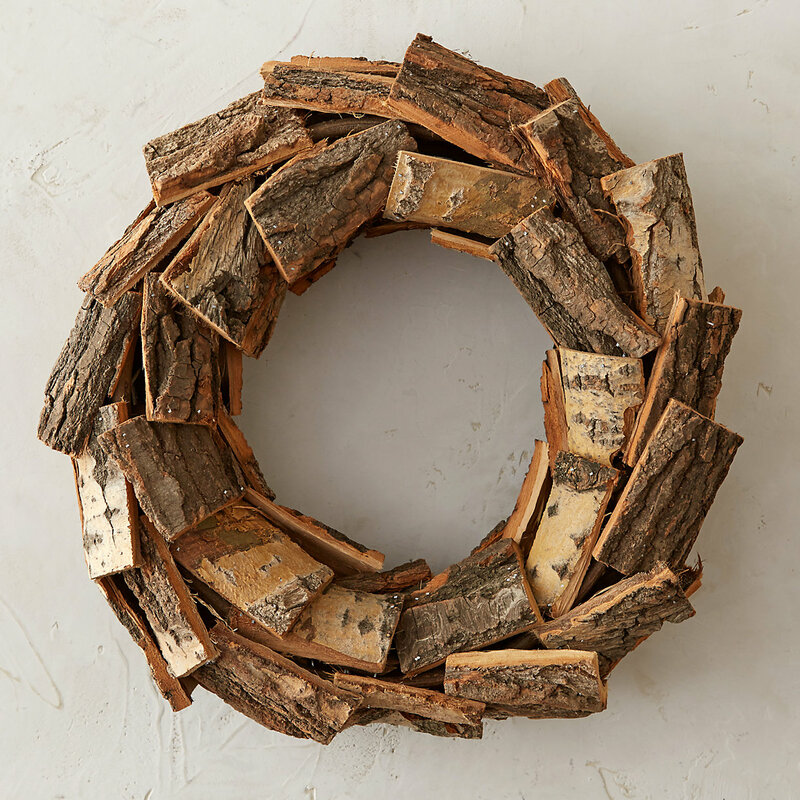 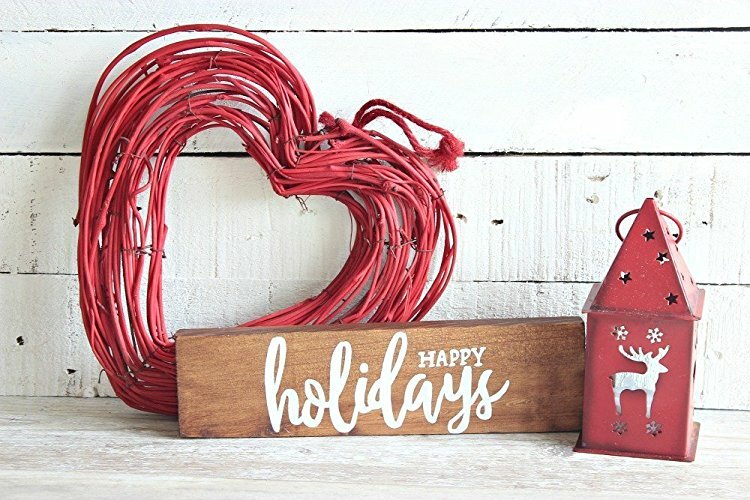 So for those of you who absolutely love farmhouse style but just don’t have the time to find items on your own, here’s an entire shopping page dedicated to making your life easier, and you decorating faster! 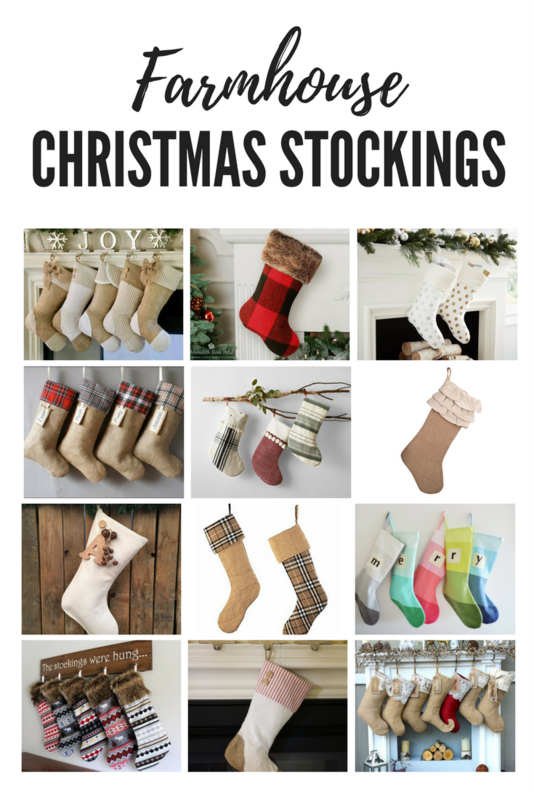 All of these items you can find online and just have them shipped straight to your door! 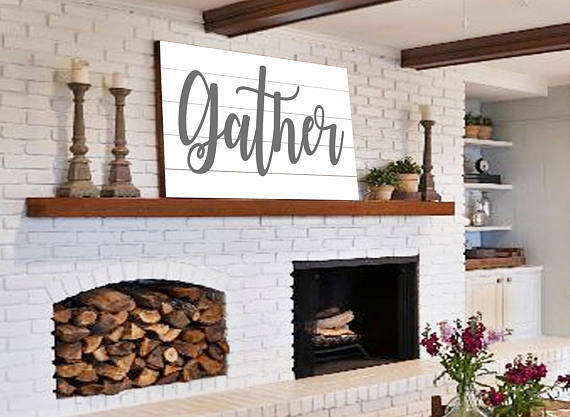 This first shopping guide was inspired by Joanna Gaines herself! 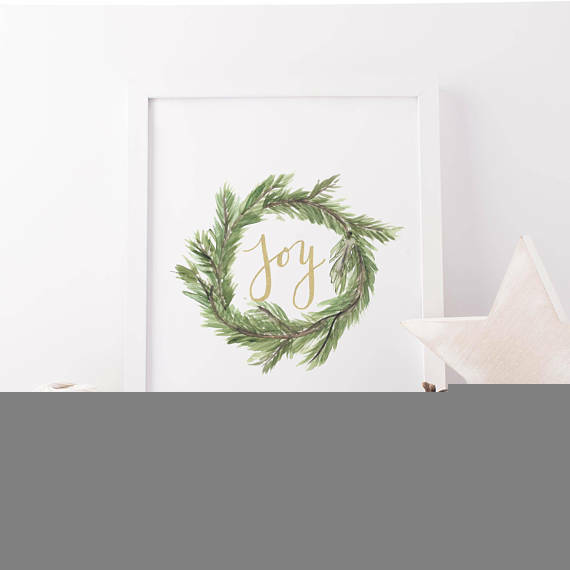 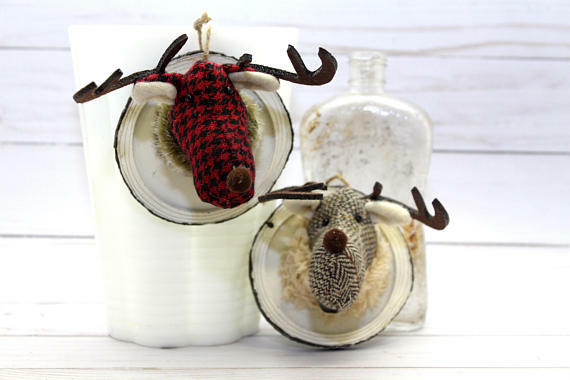 These christmas decor items can be found in her Fixer Upper Christmas decor both in Joanna’s home and her bed and breakfast. 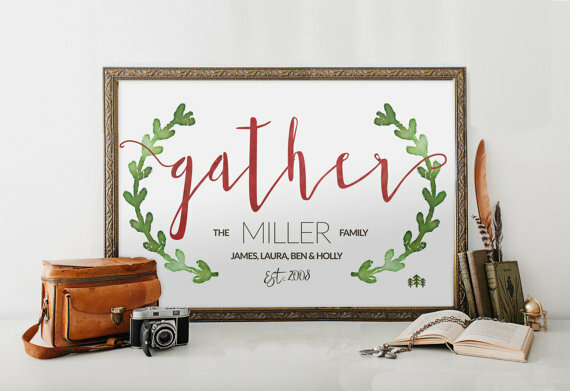 Joanna has such a classic, yet unique farmhouse style. 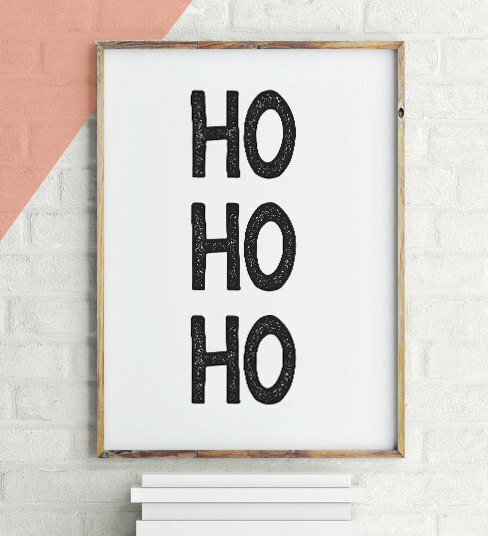 And you all know by know that I’m a hue fan, so I had to start off this Christmas countdown with some Jojo favs! 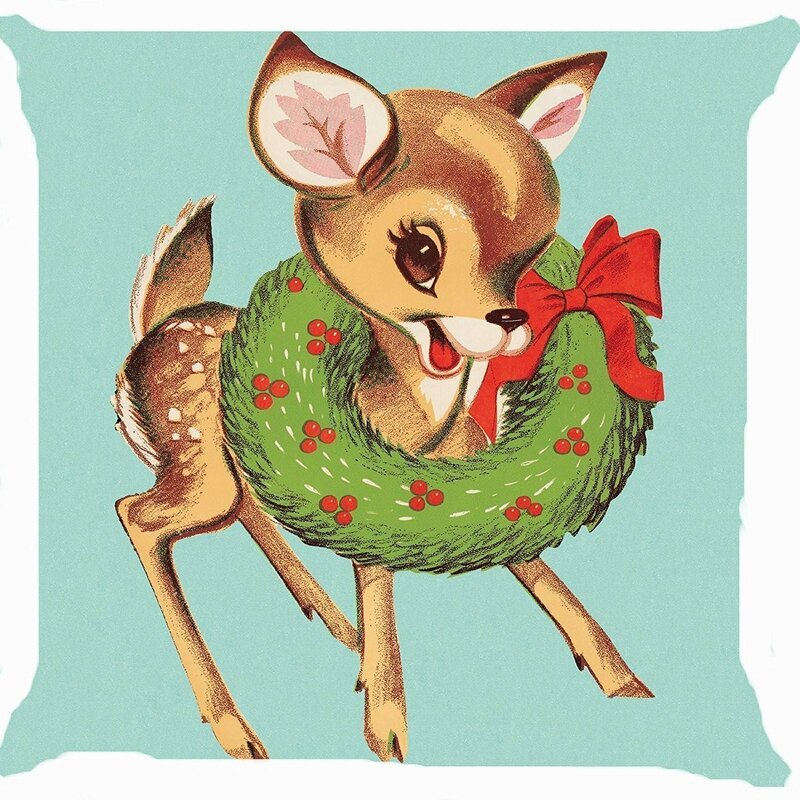 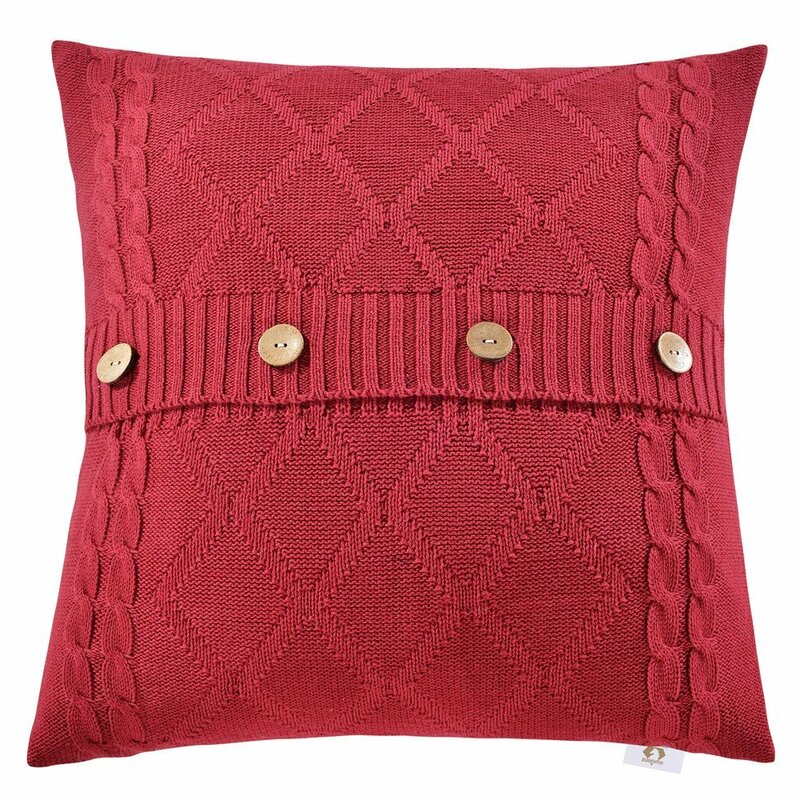 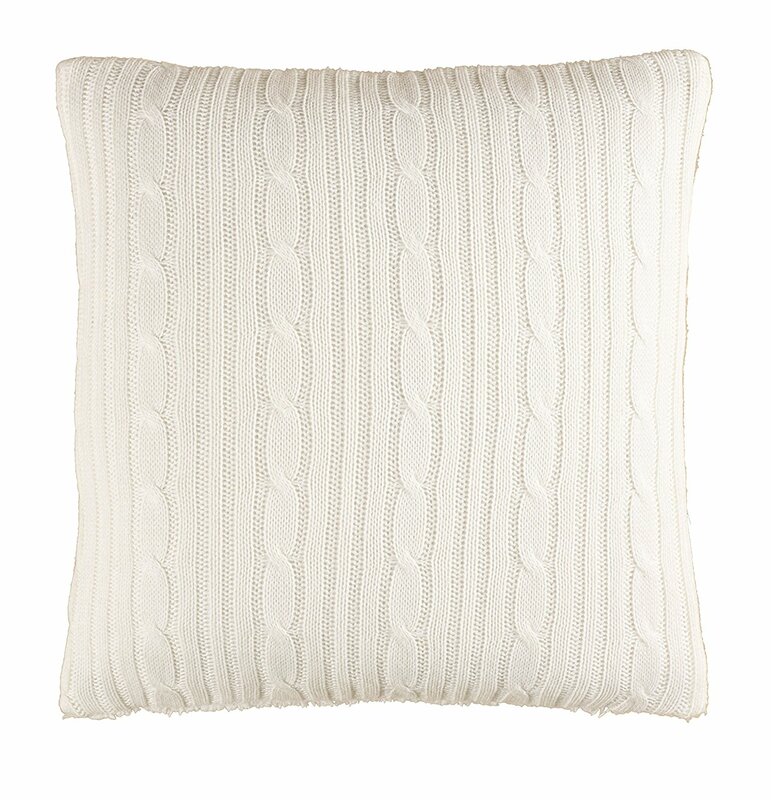 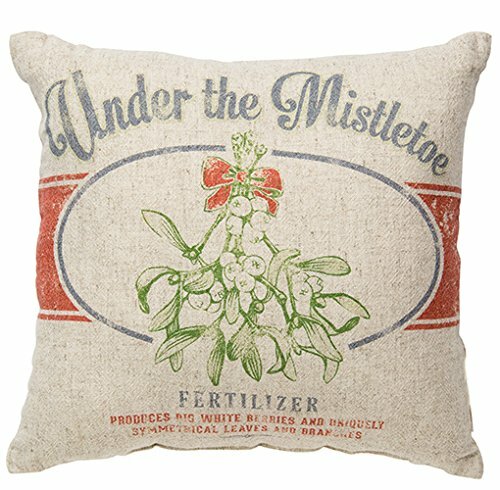 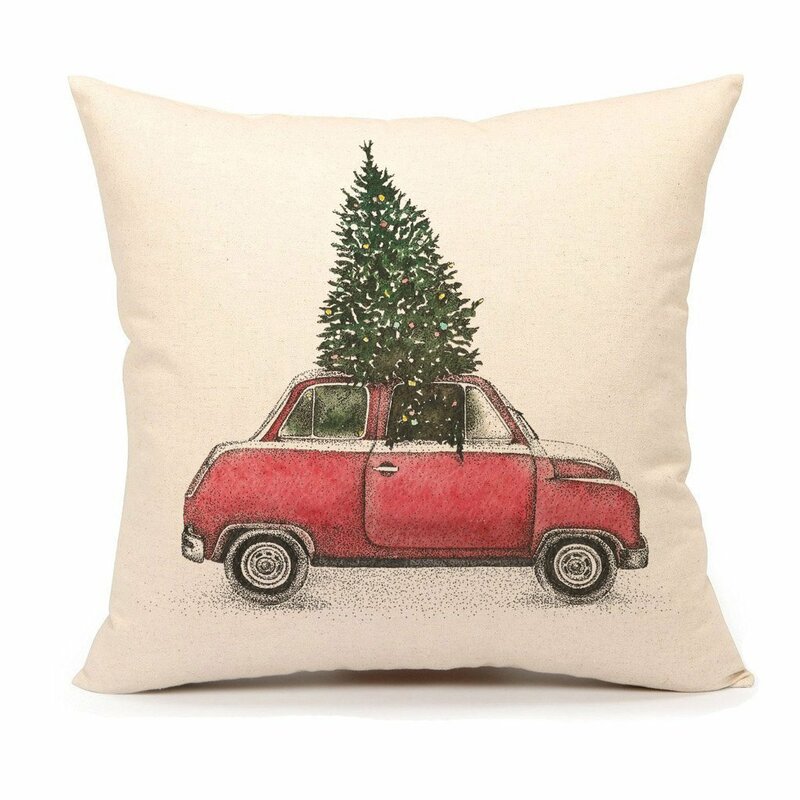 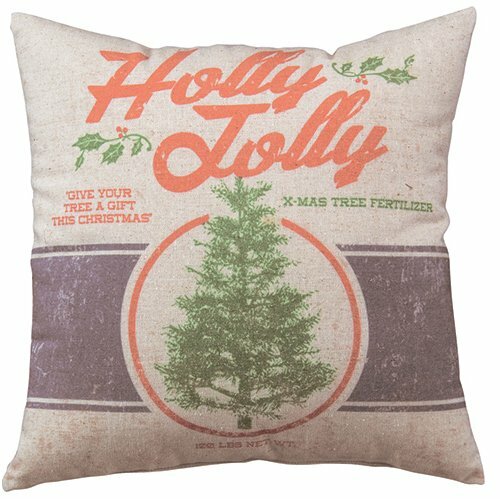 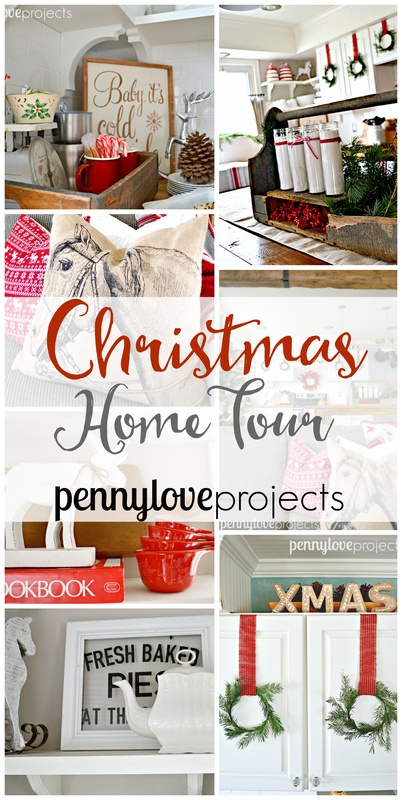 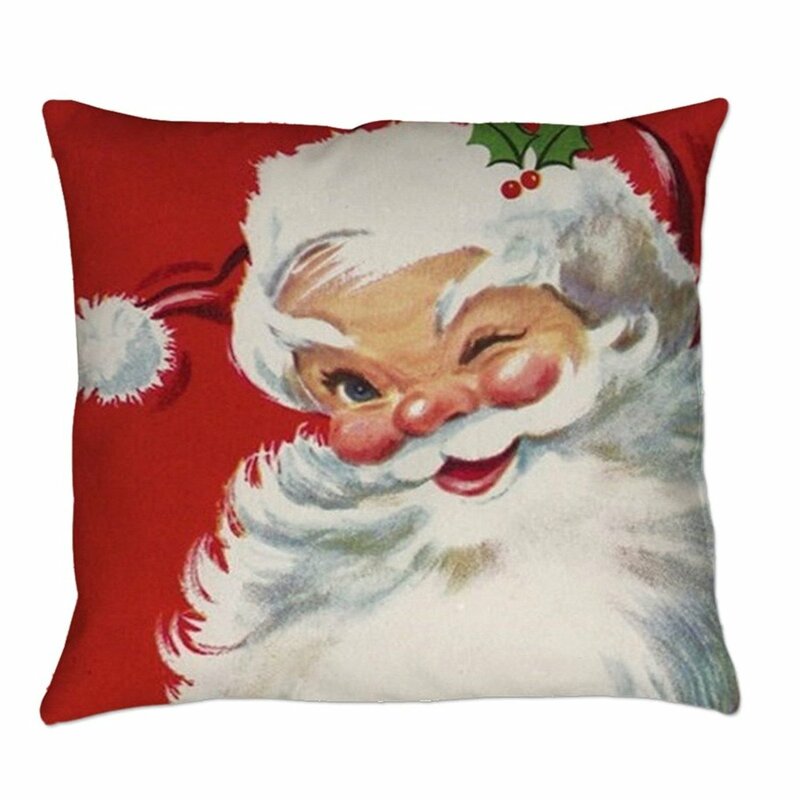 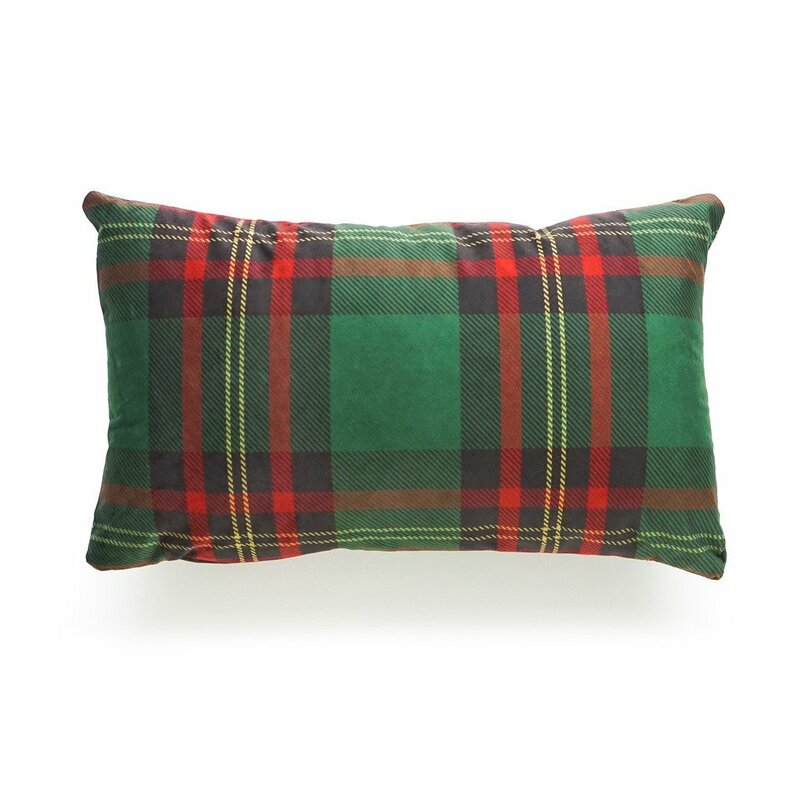 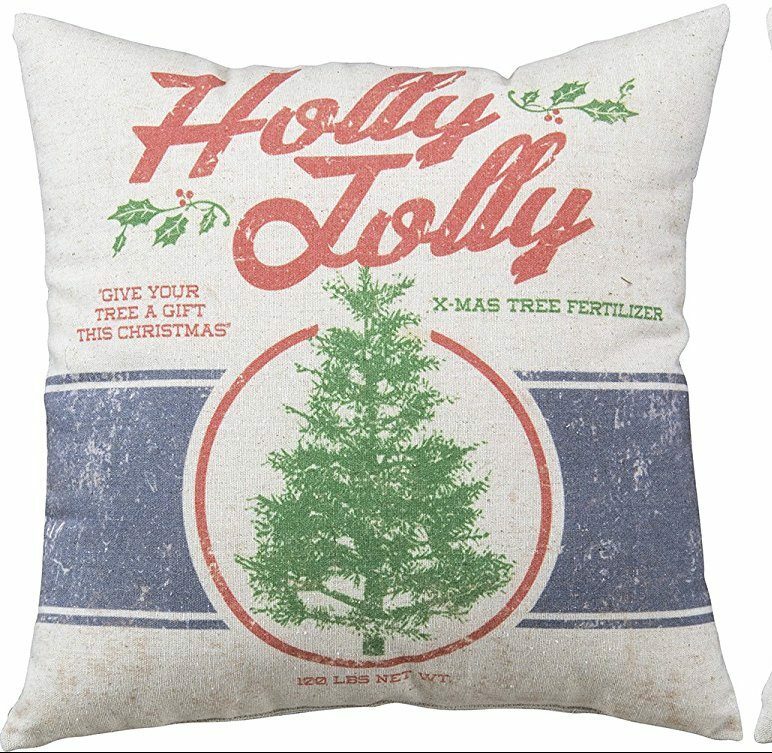 Pillows are an affordable and quick way to bring a bit of Holiday Spirit into the home. 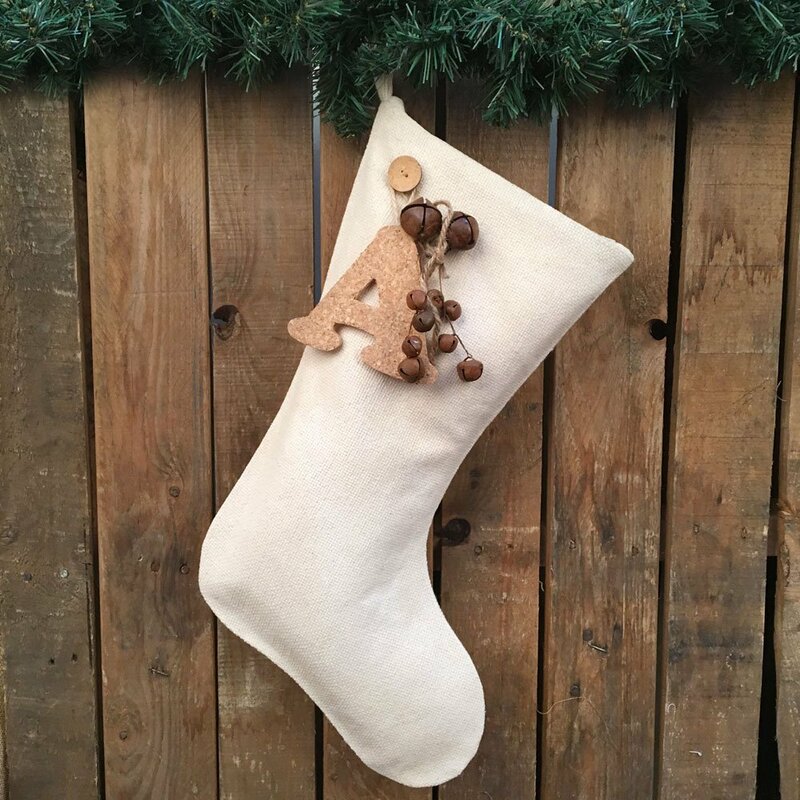 Lora from Craftivity Designs compiled a few favorite farmhouse style pillows — whether you lean more modern, woodsy, vintage, or rustic! 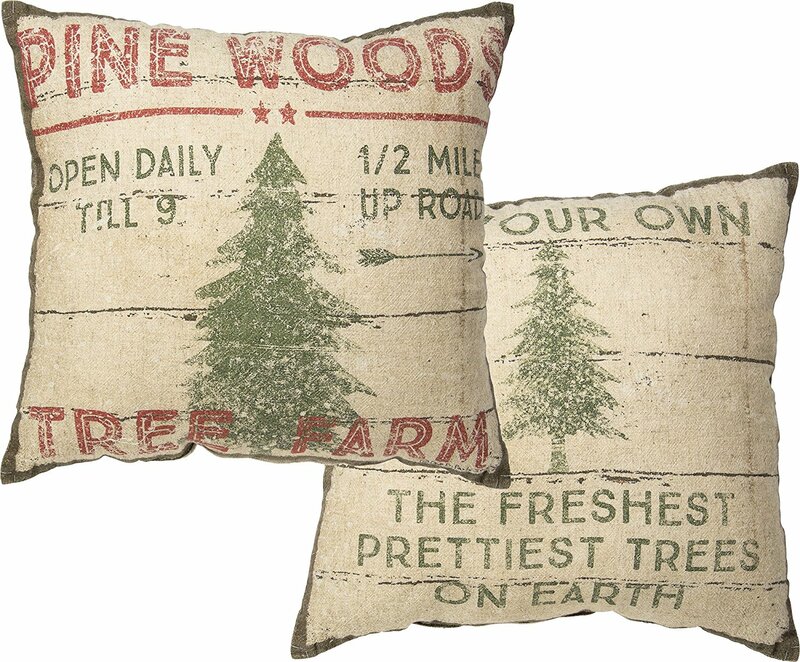 The woodsy, or lodge-style, farmhouse home is the perfect backdrop for checks, plaids, and evergreens. 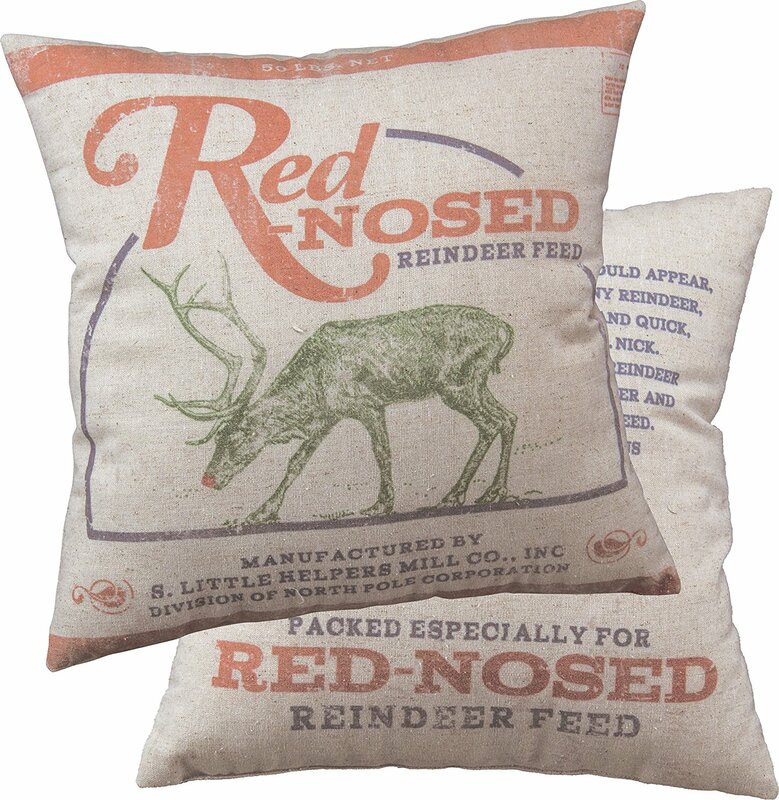 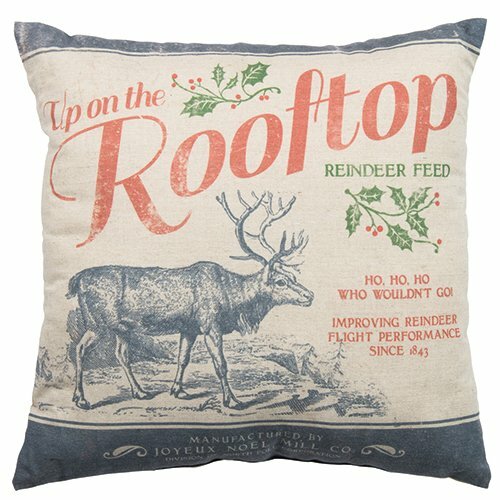 Feed Sack pillows will be right at home, surrounded by aged, rustic, farmhouse decor. 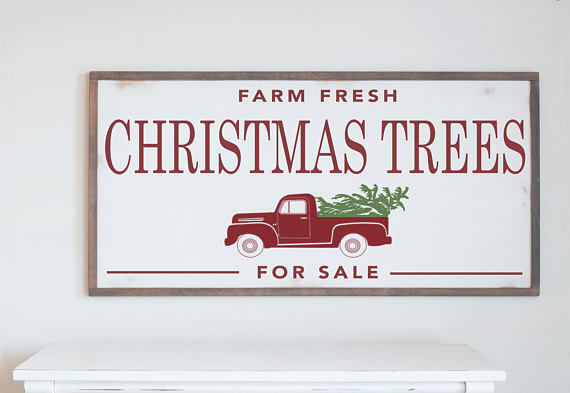 Embrace vintage prints from holiday classics in a bright, eclectic, farmhouse home. 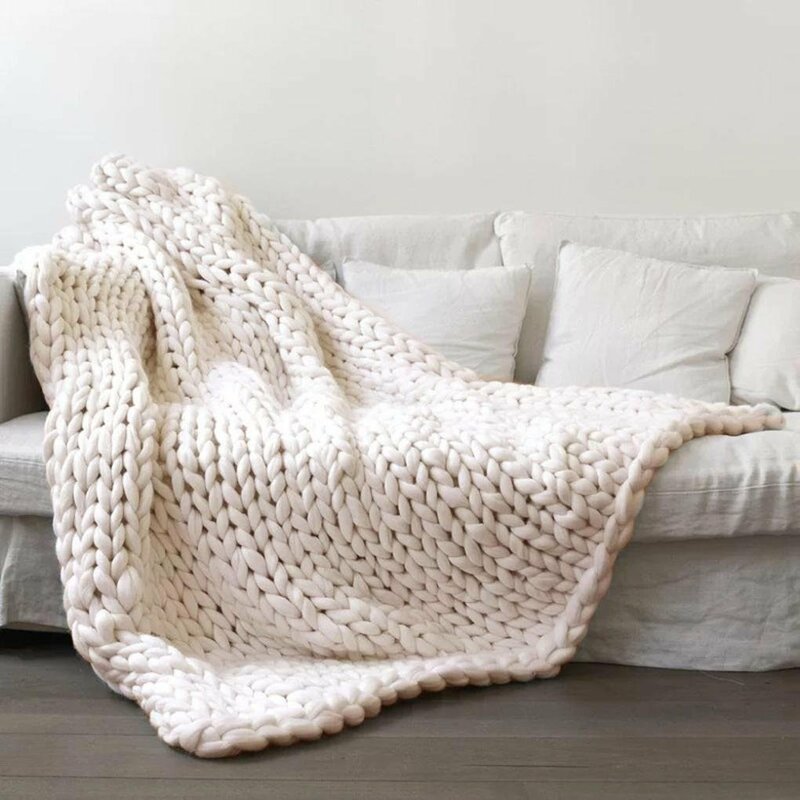 A modern farmhouse is a perfect spot to use classic colors that are full of texture, such as cable knits and sweater prints. 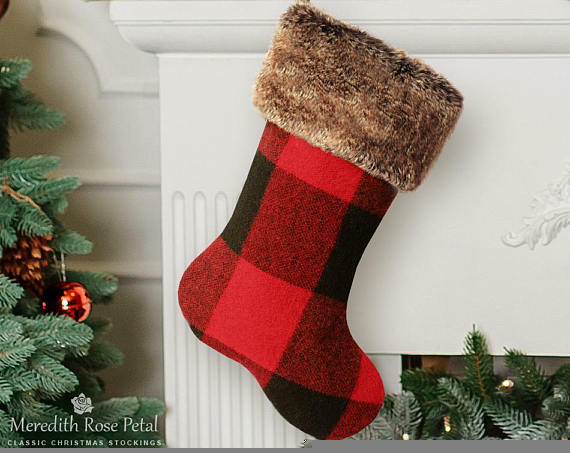 Click on the product images below to be taken to the products (affiliate links). 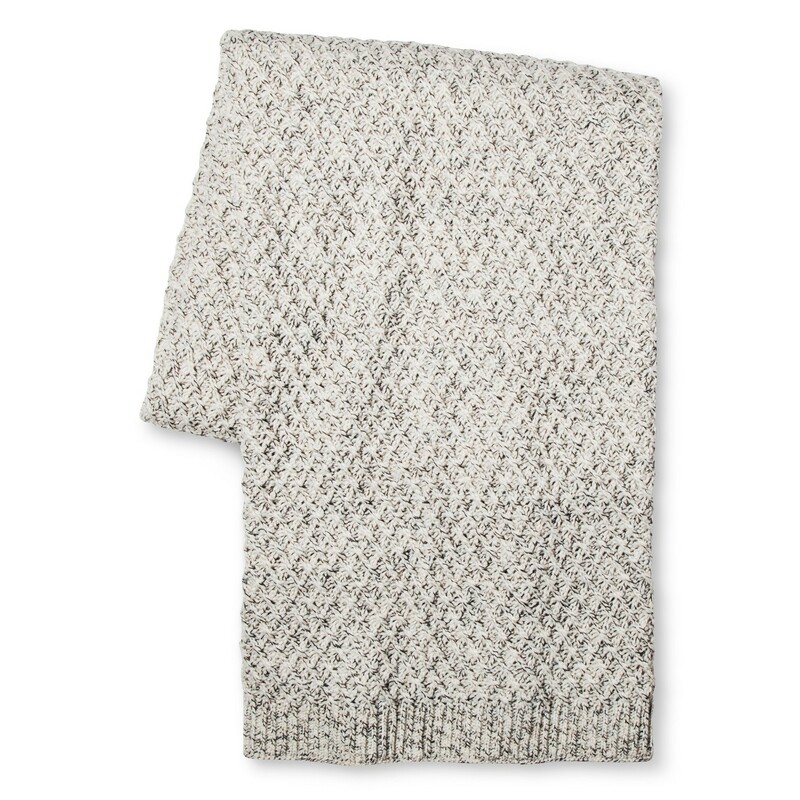 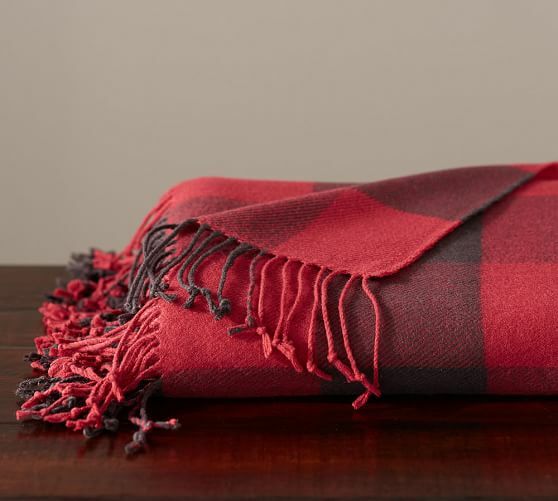 What’s better than getting cozy under a warm throw blanket in your favorite chair on a cold winter day? 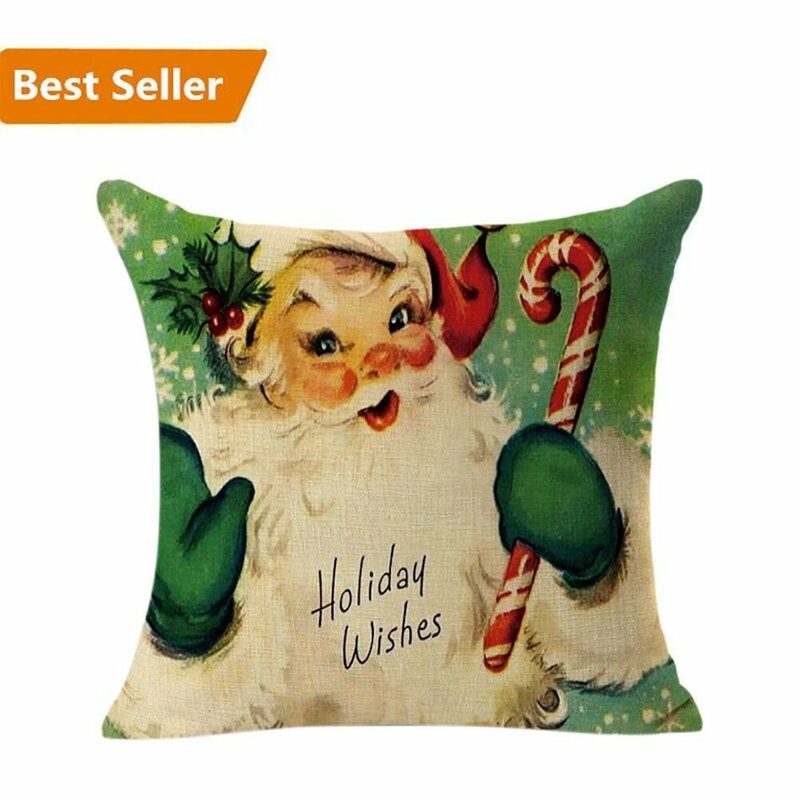 I can’t think of many things I enjoy more. 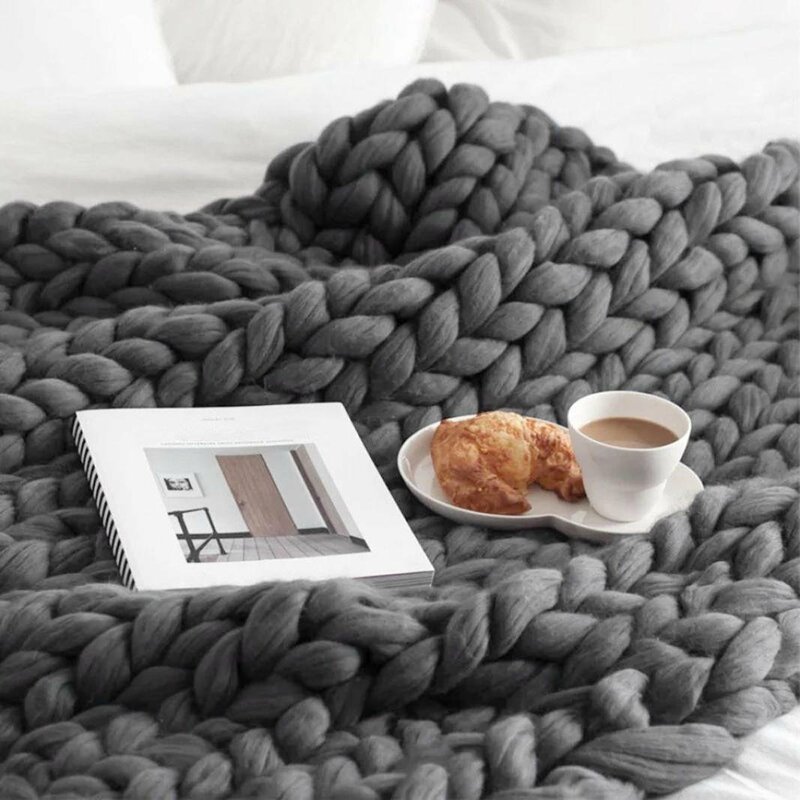 Add a cup of coffee and a good book and I would be one happy lady! 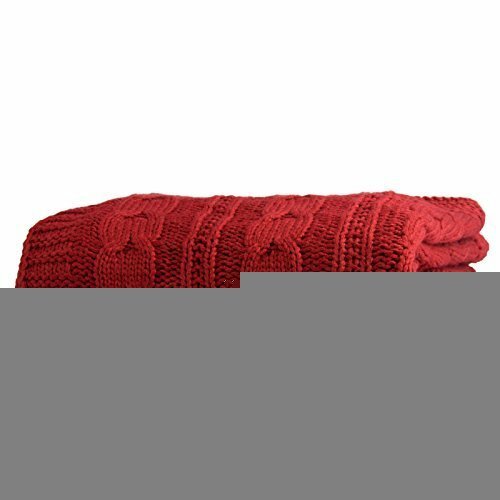 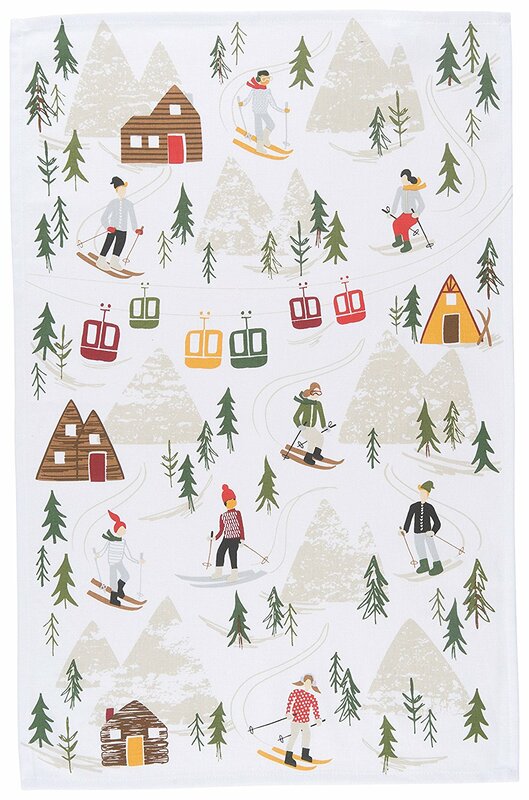 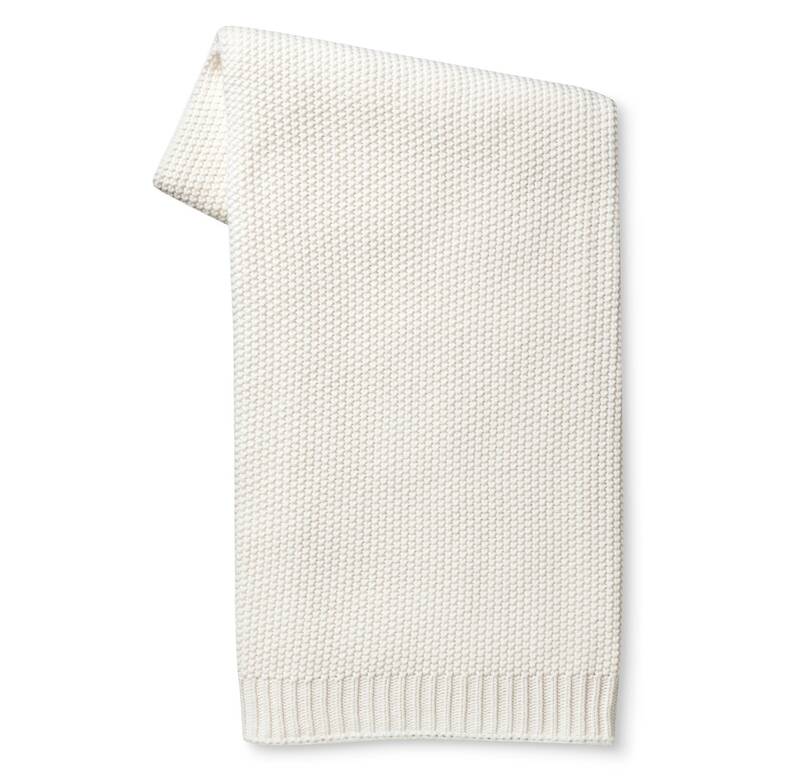 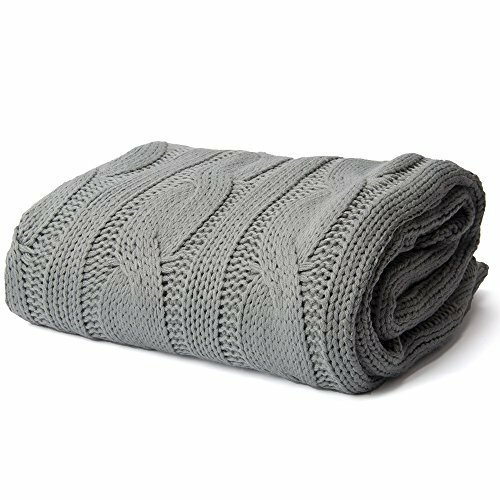 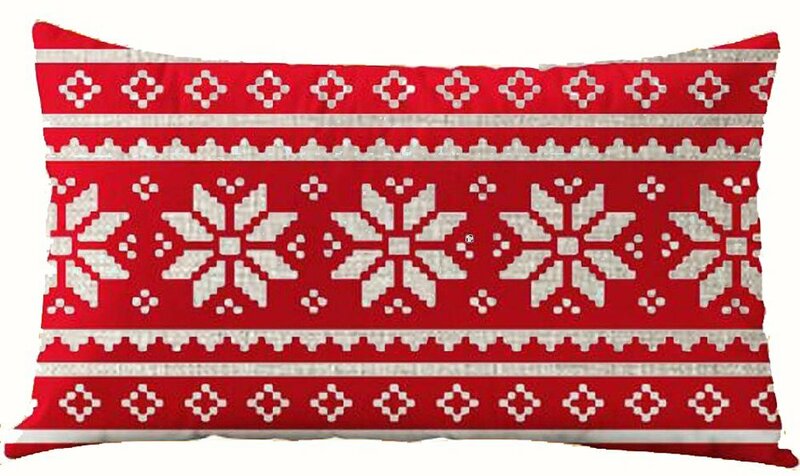 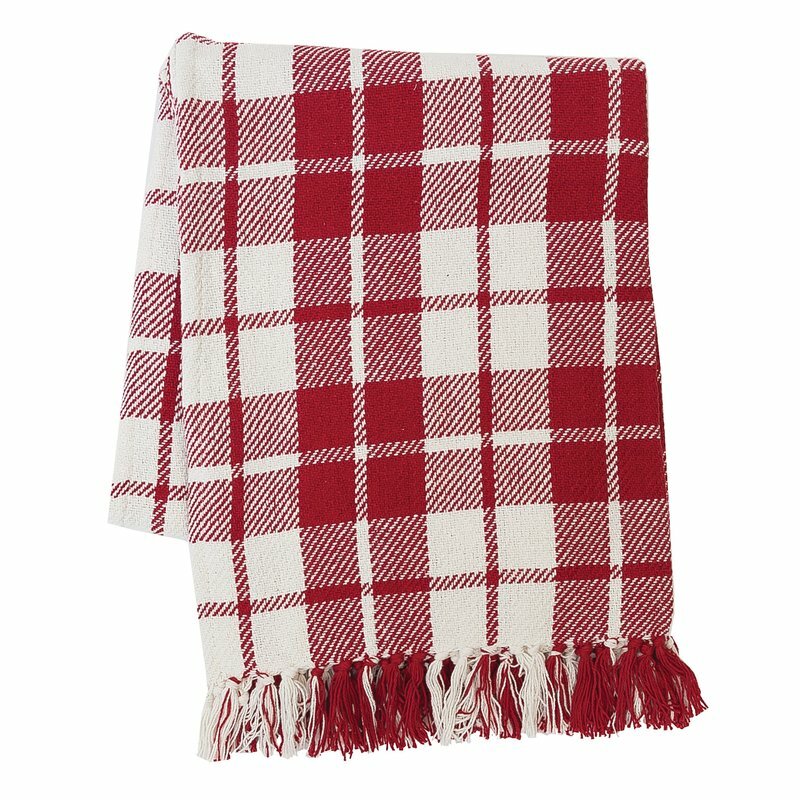 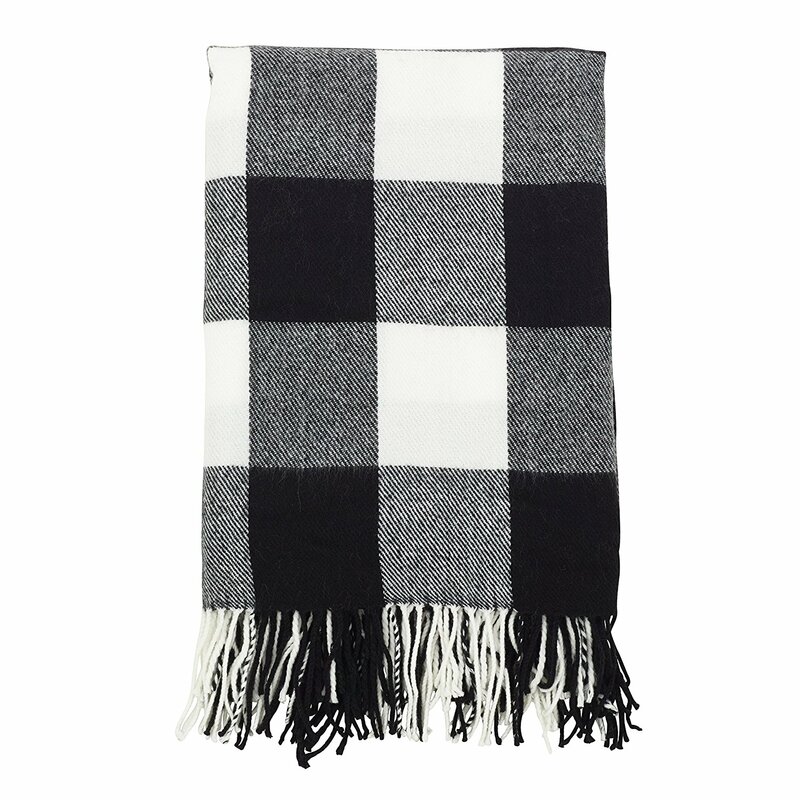 Today, I have pulled together a collection of my favorite Christmas throw blankets that are perfect for those winter-y days during the holidays. 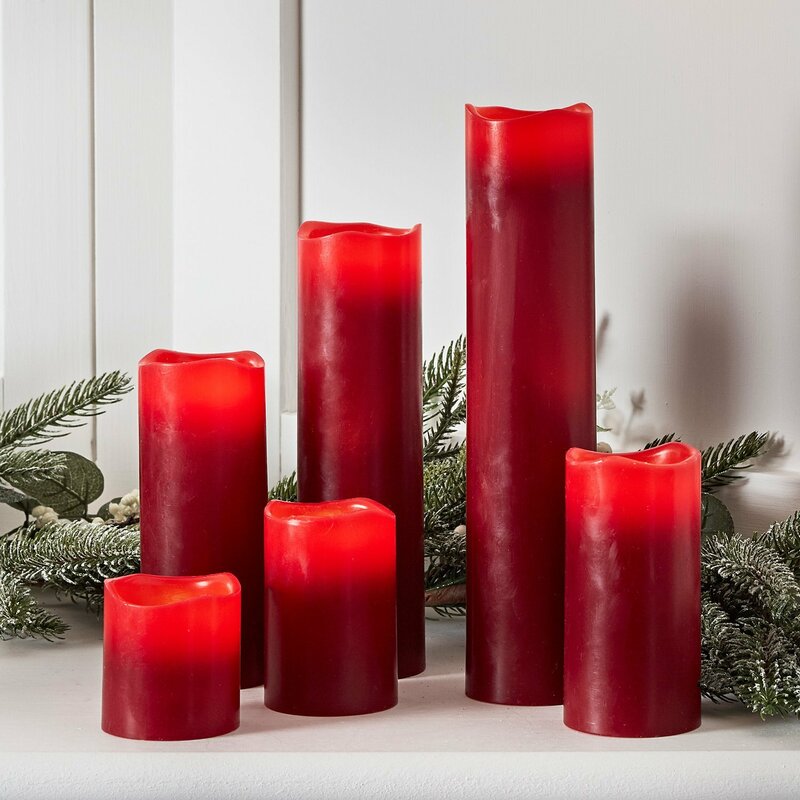 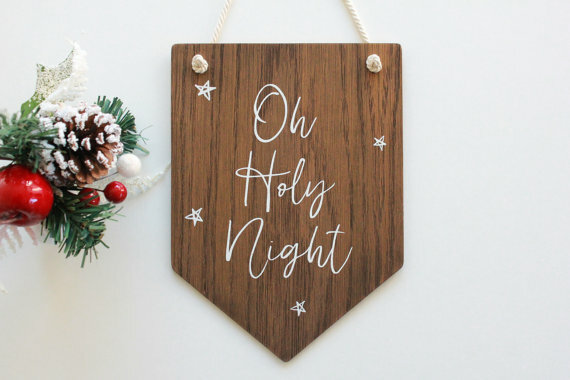 Whether you like to decorate with the traditional Christmas colors, or you like to keep things neutral, I have found some great options for each of you! 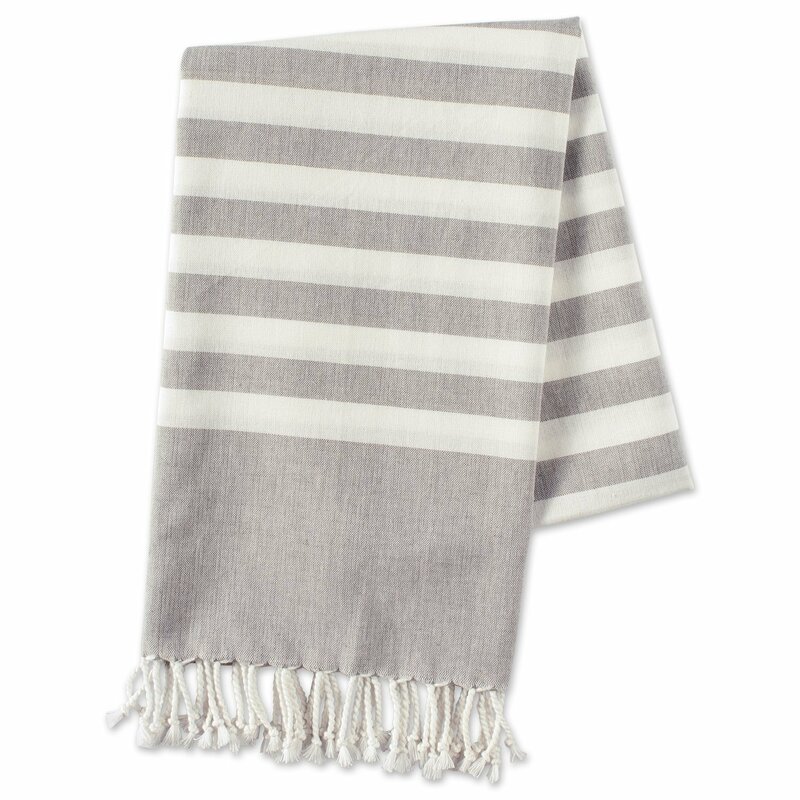 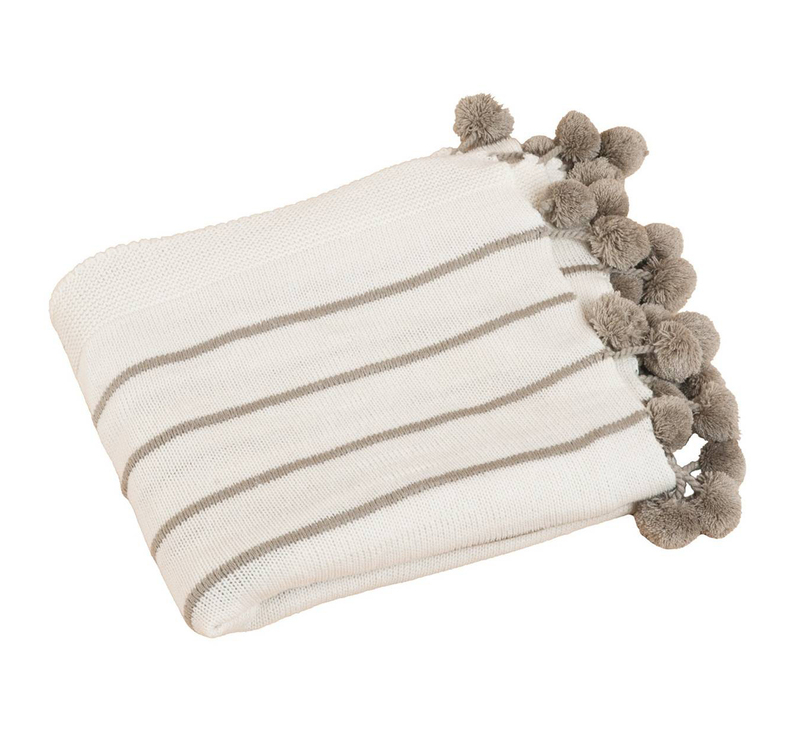 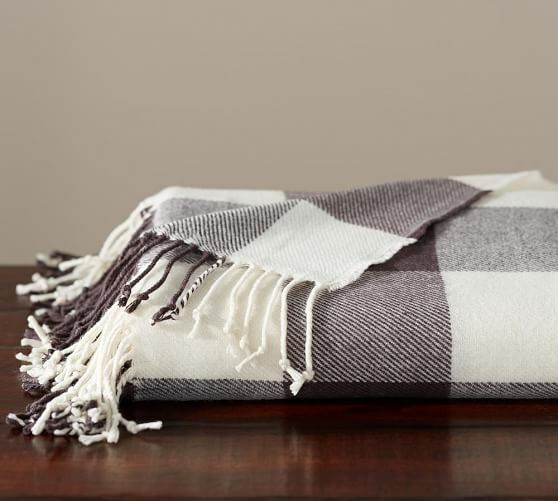 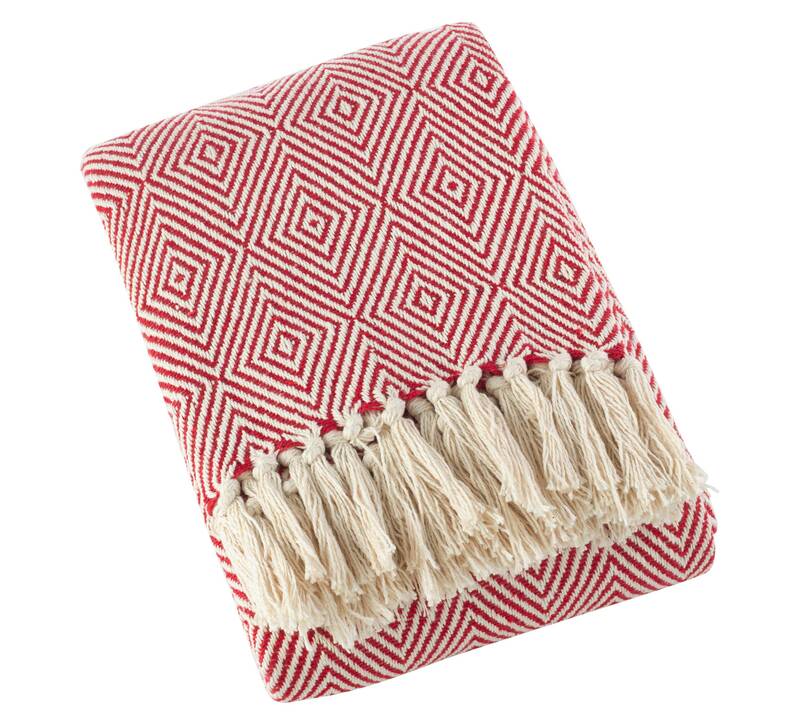 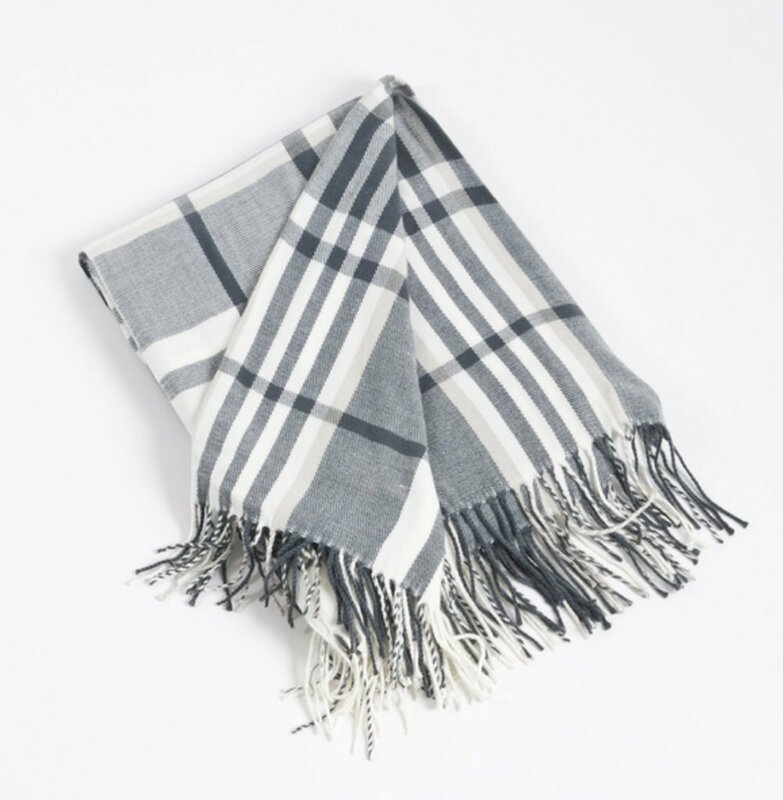 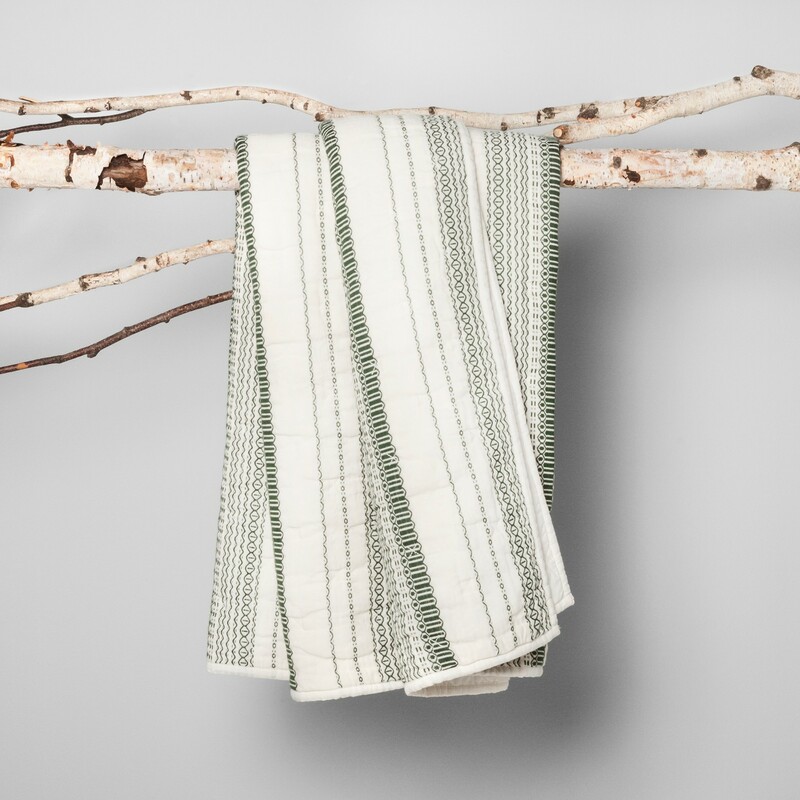 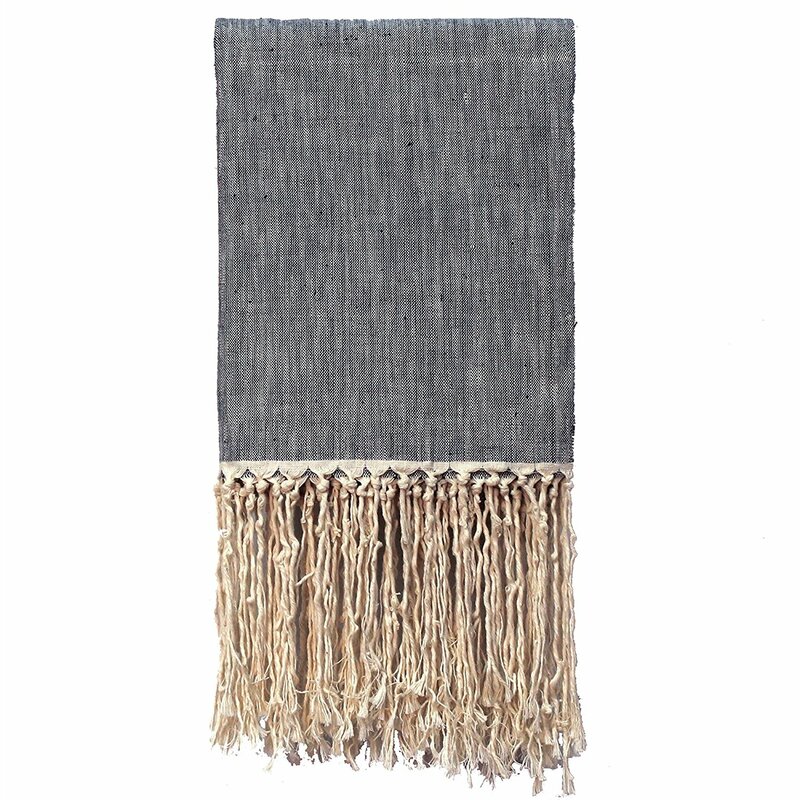 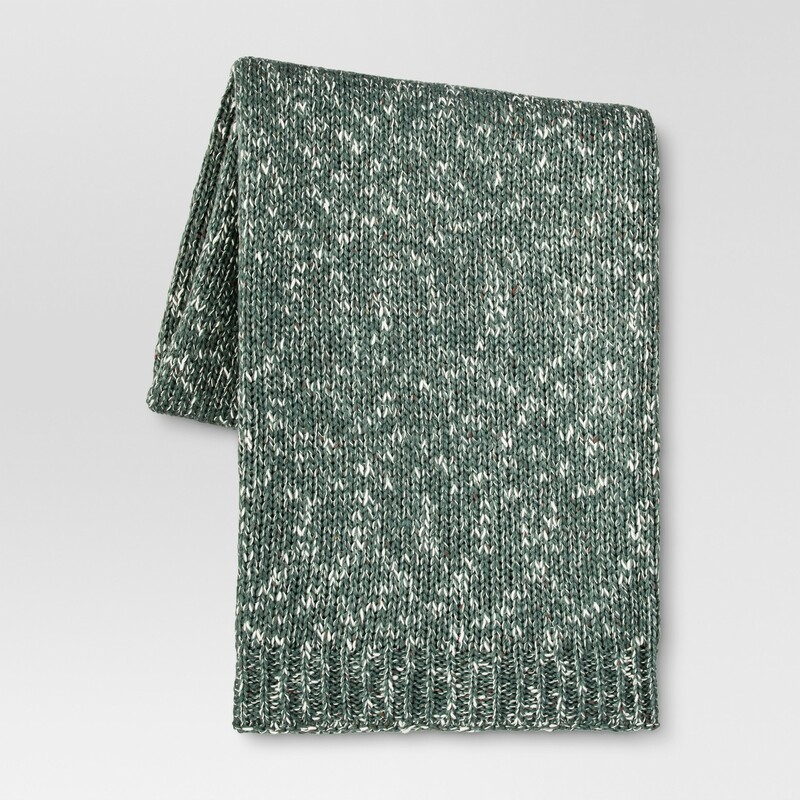 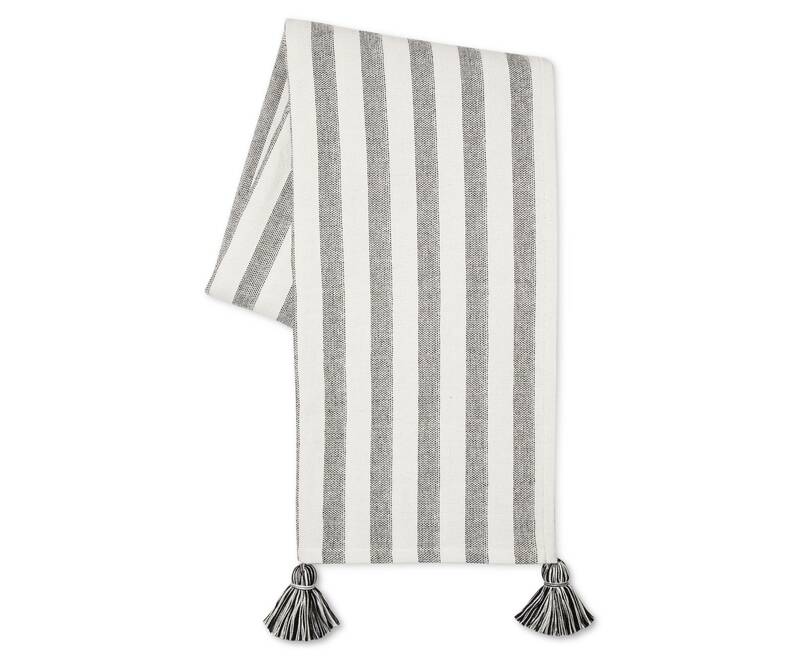 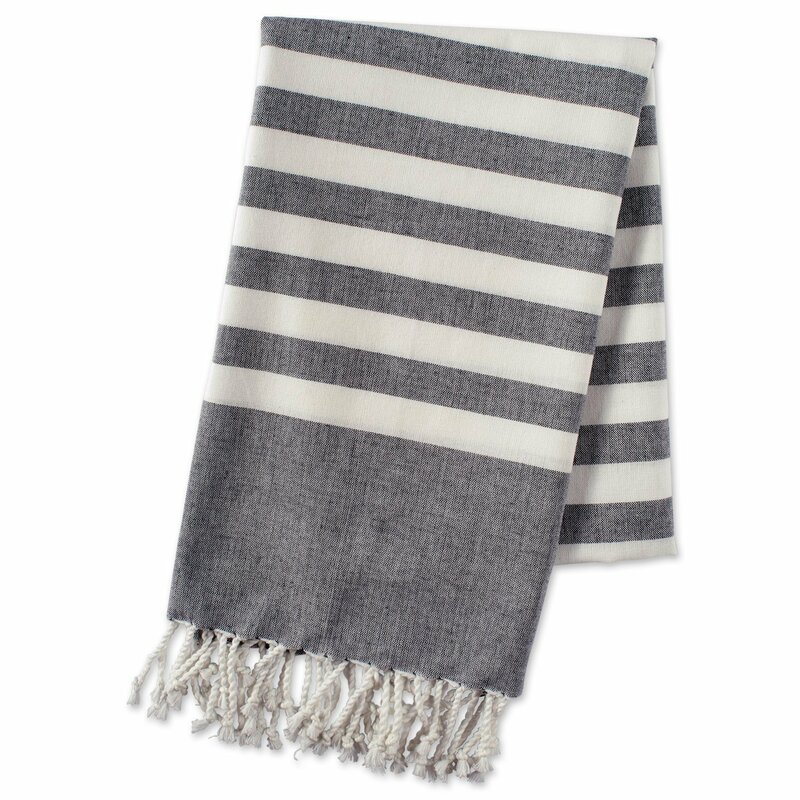 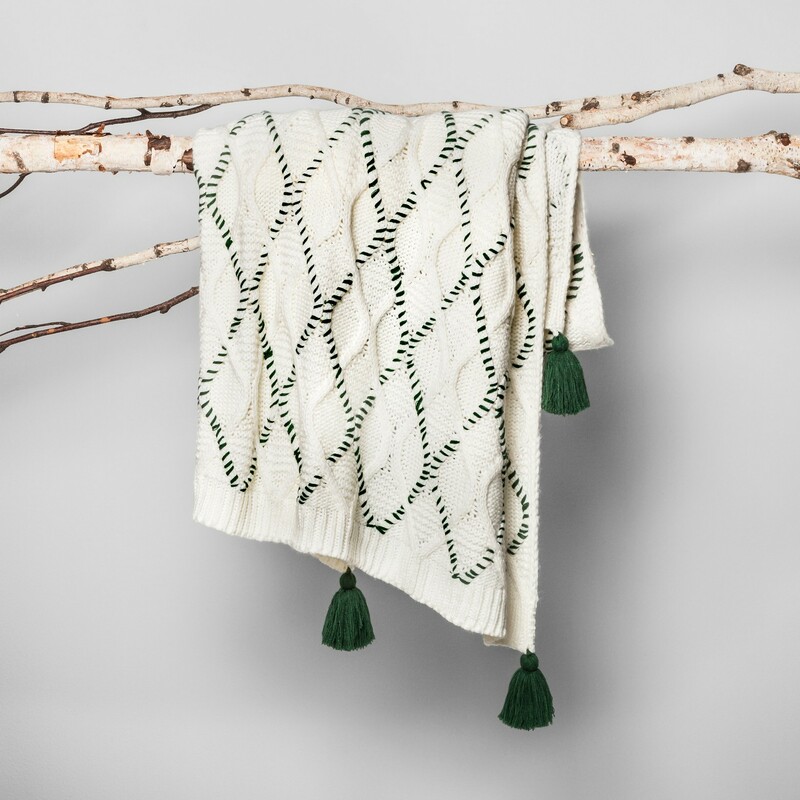 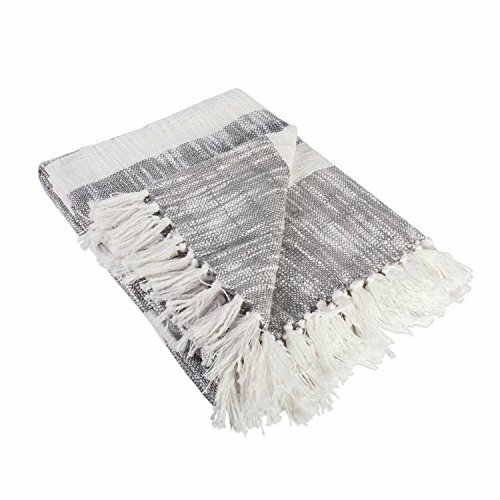 I am just dying over these gorgeous throws!! 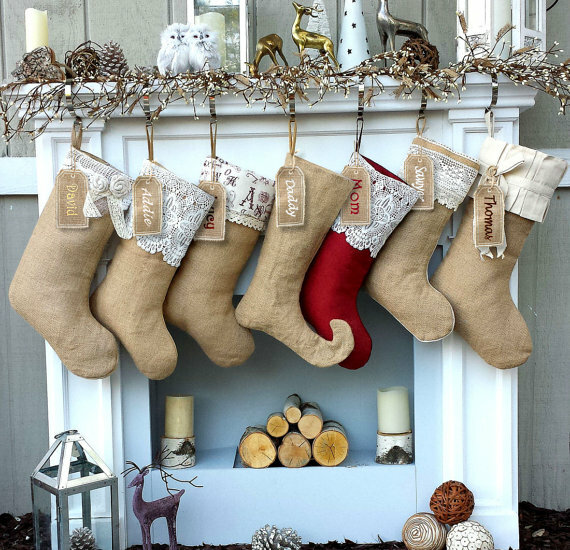 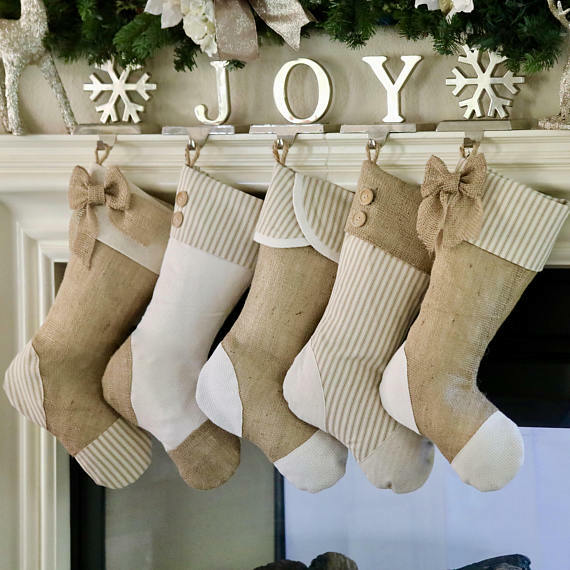 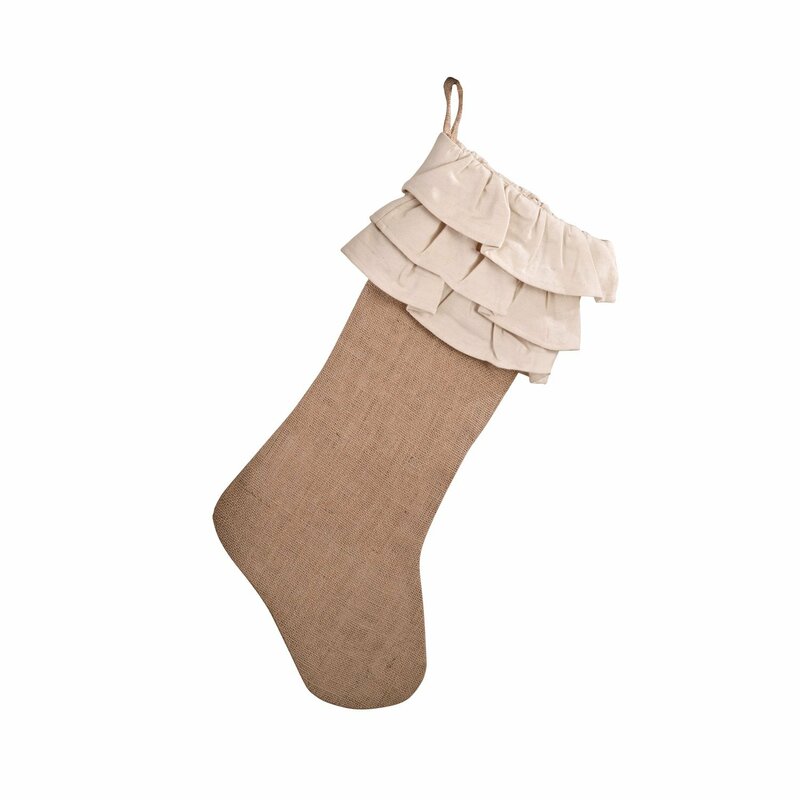 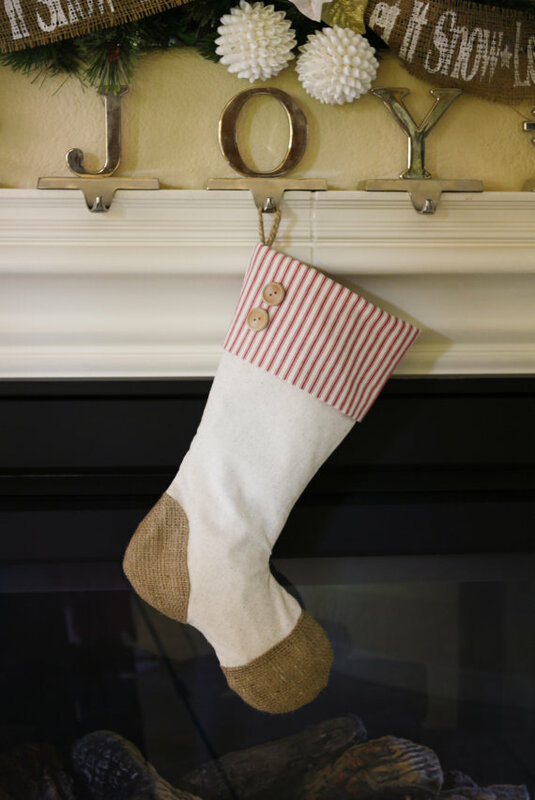 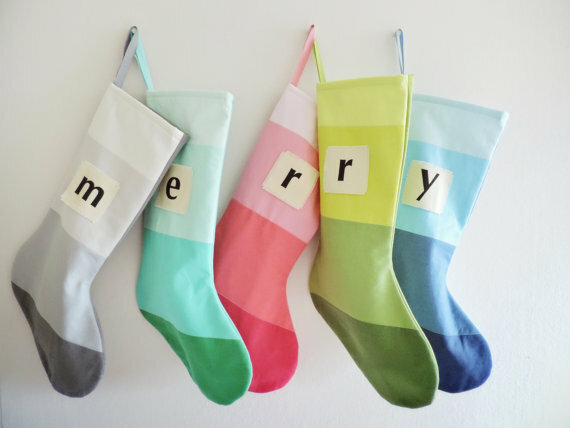 Jessica from The Vanderveen House has rounded up some of her favorite farmhouse Christmas stockings. 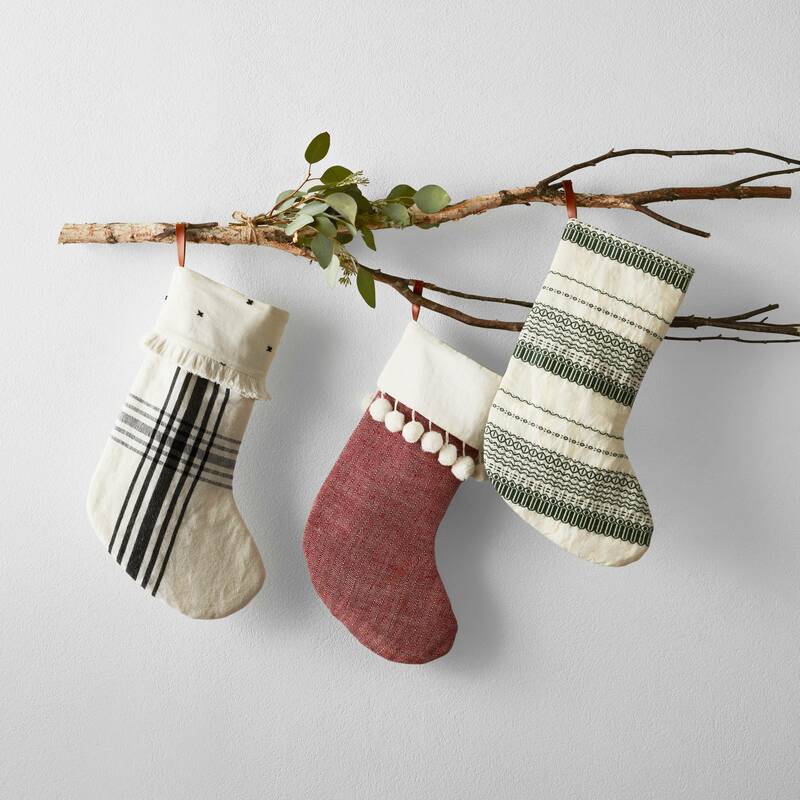 Whether you’re looking for an individual stocking, or coordinating stockings for the whole family, she’s got you covered. 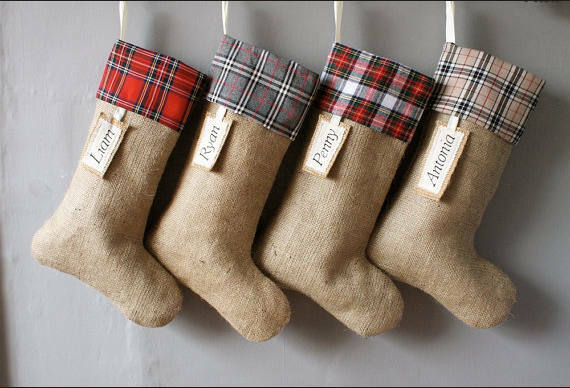 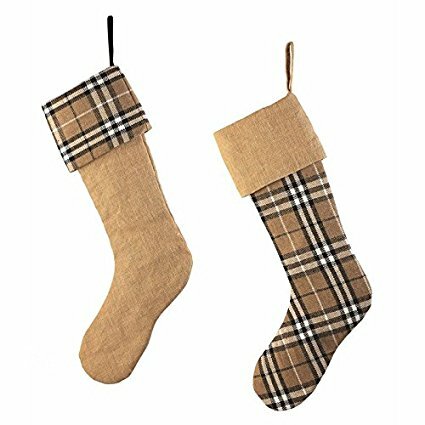 These farmhouse stockings are a mix of burlap, lace, plaid, and some pops of color to mix things up. 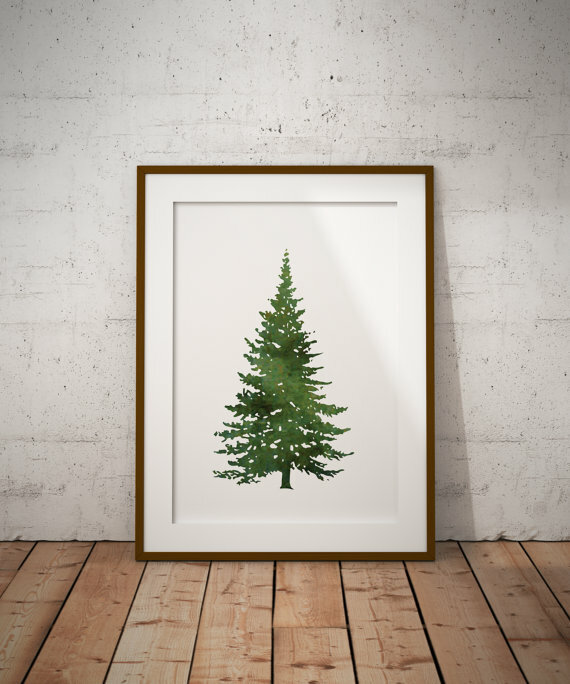 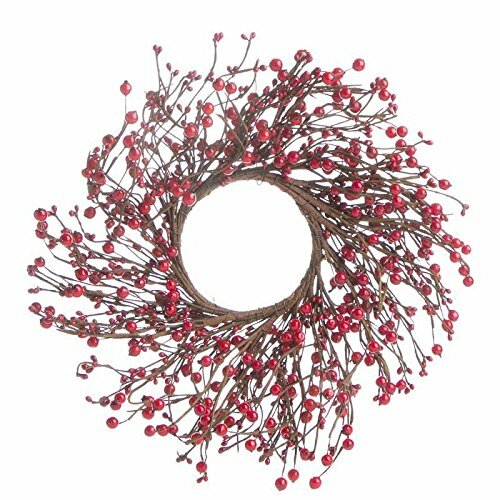 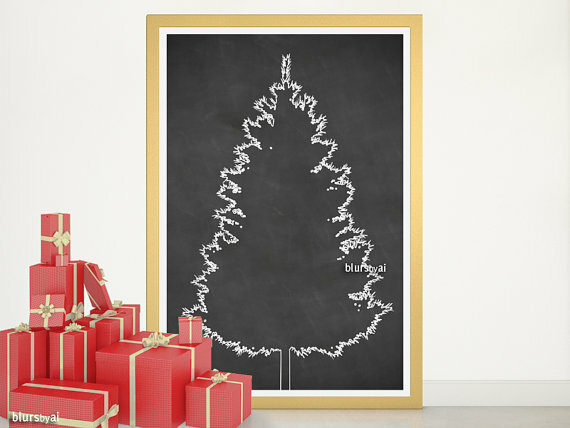 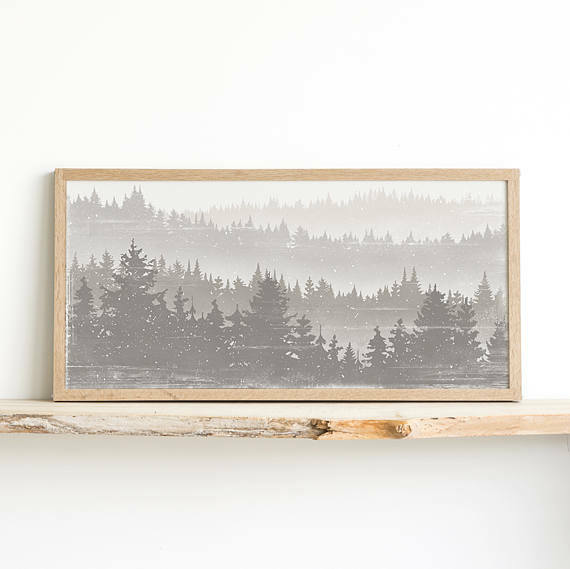 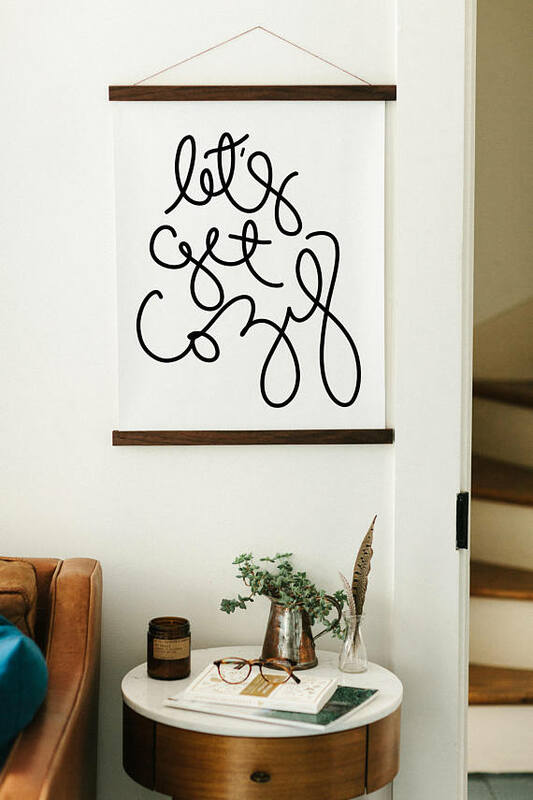 One of the quickest ways to spruce up your decor for the holidays is to add some new wall art. 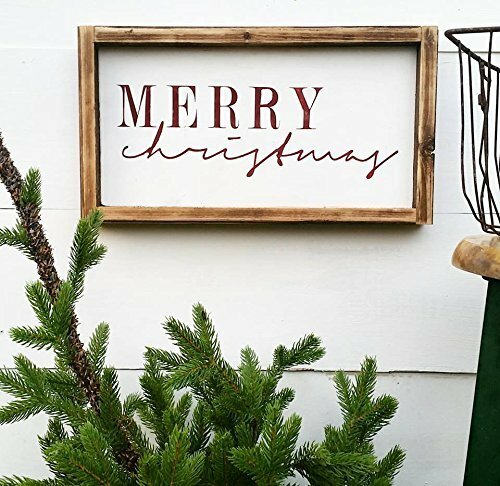 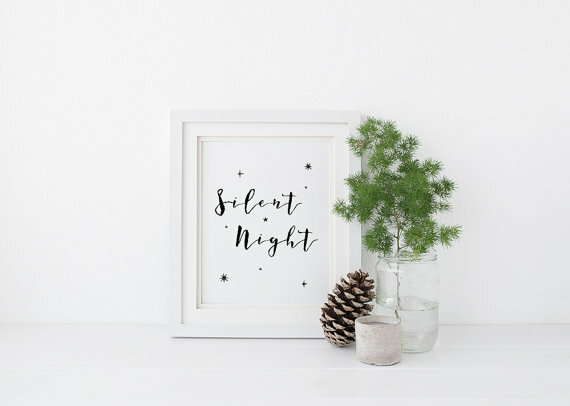 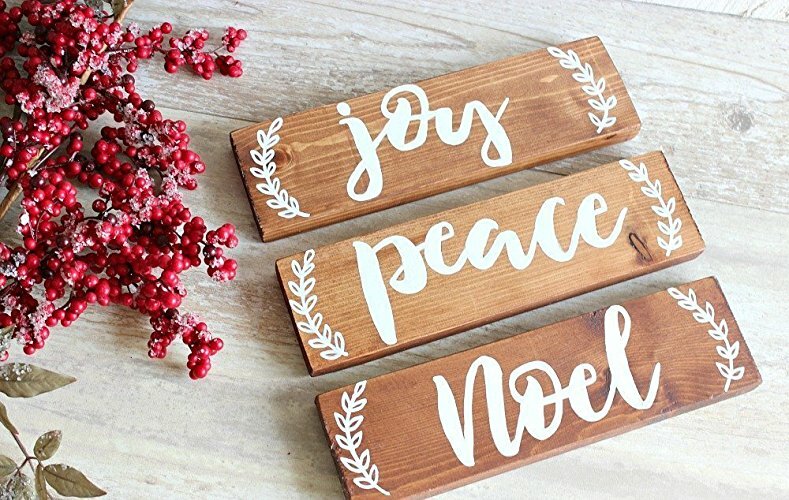 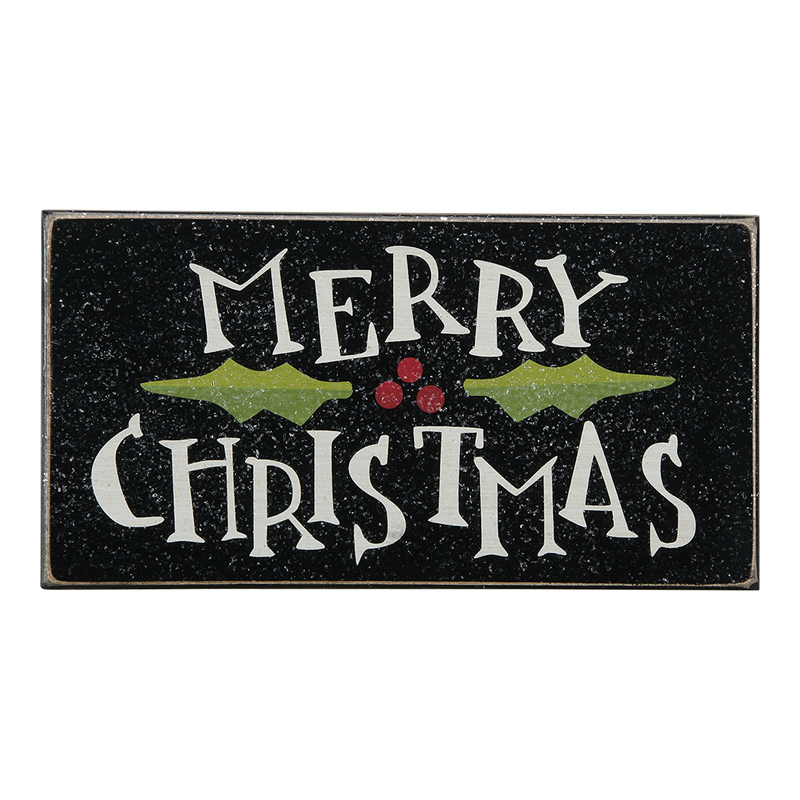 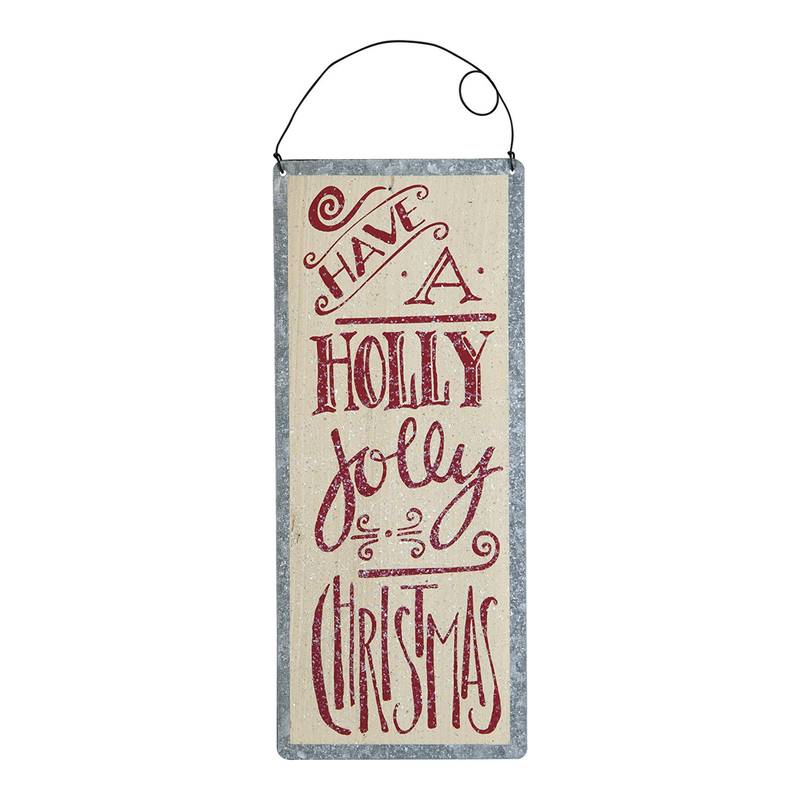 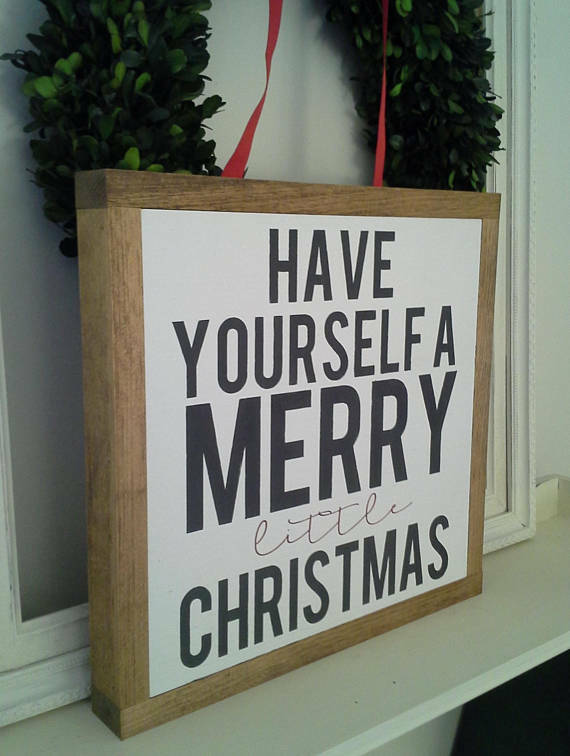 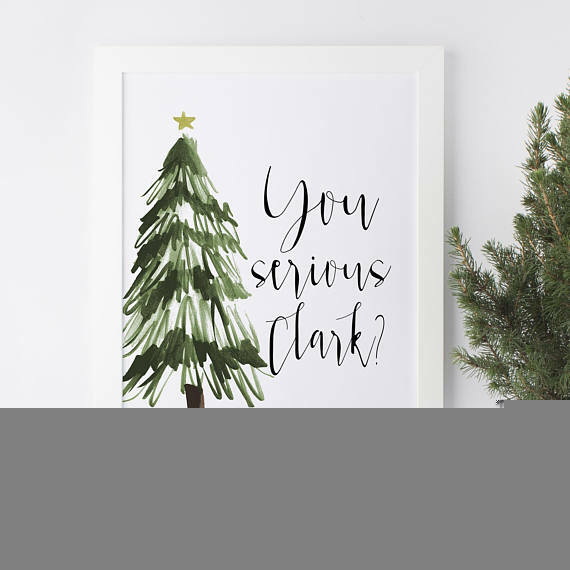 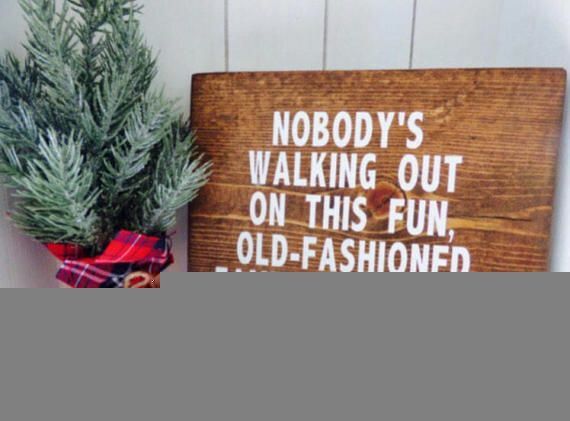 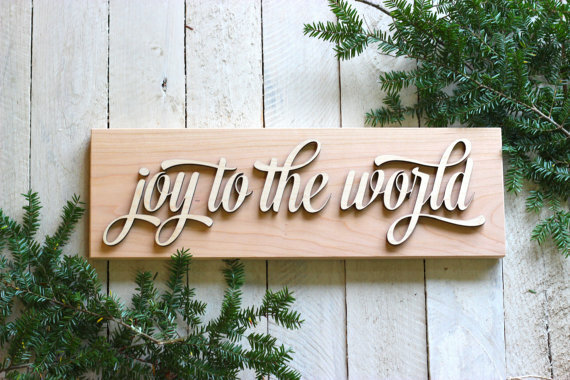 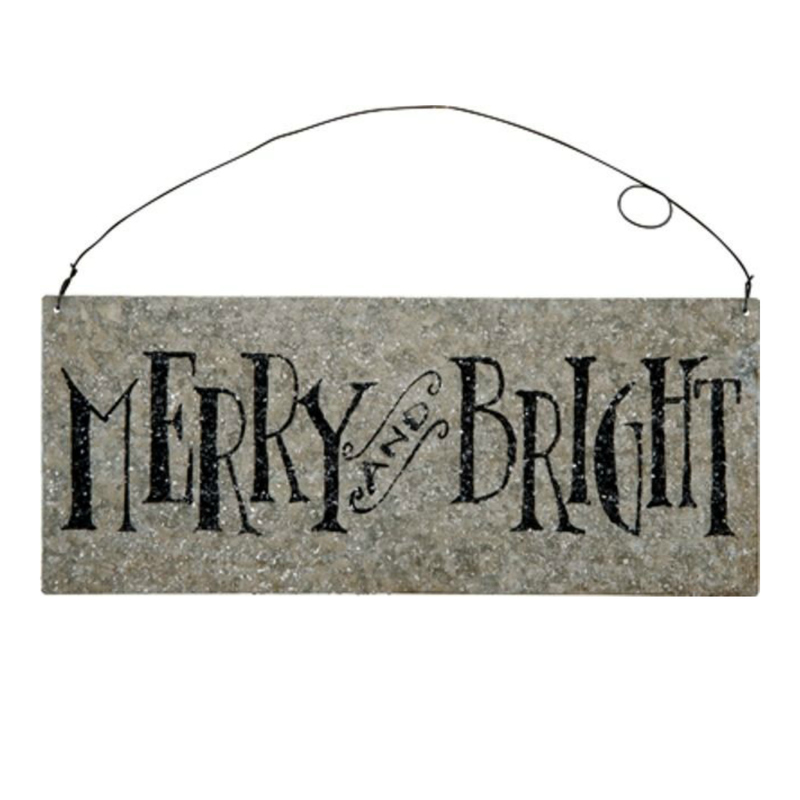 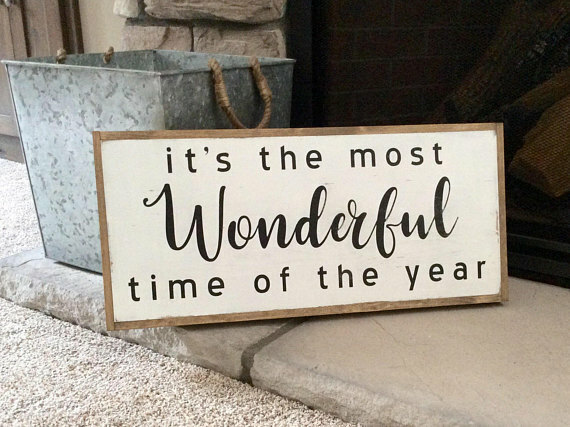 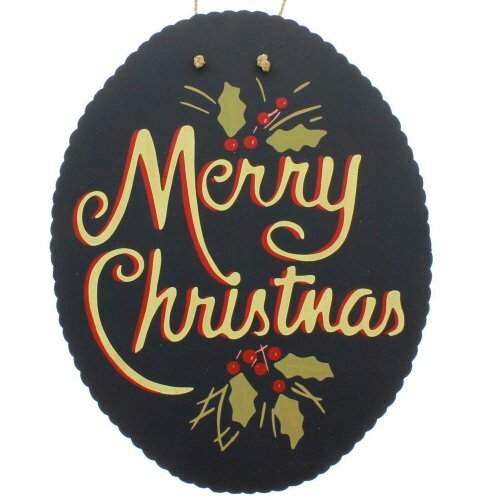 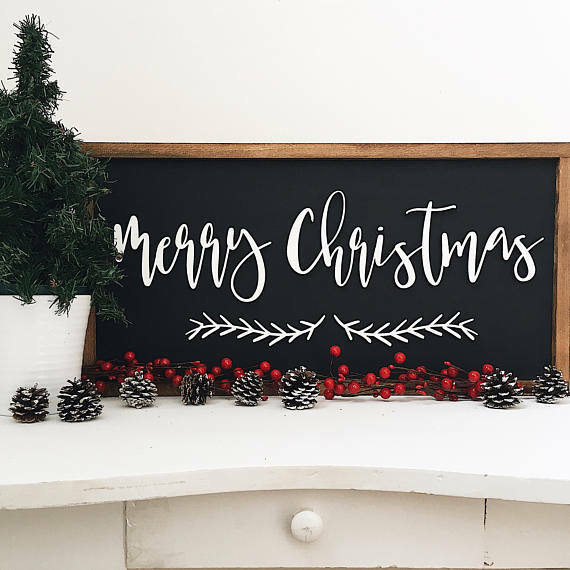 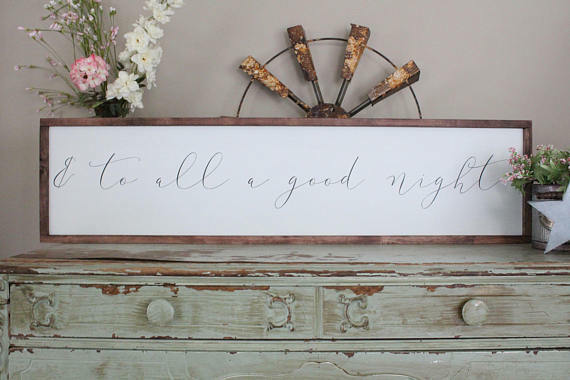 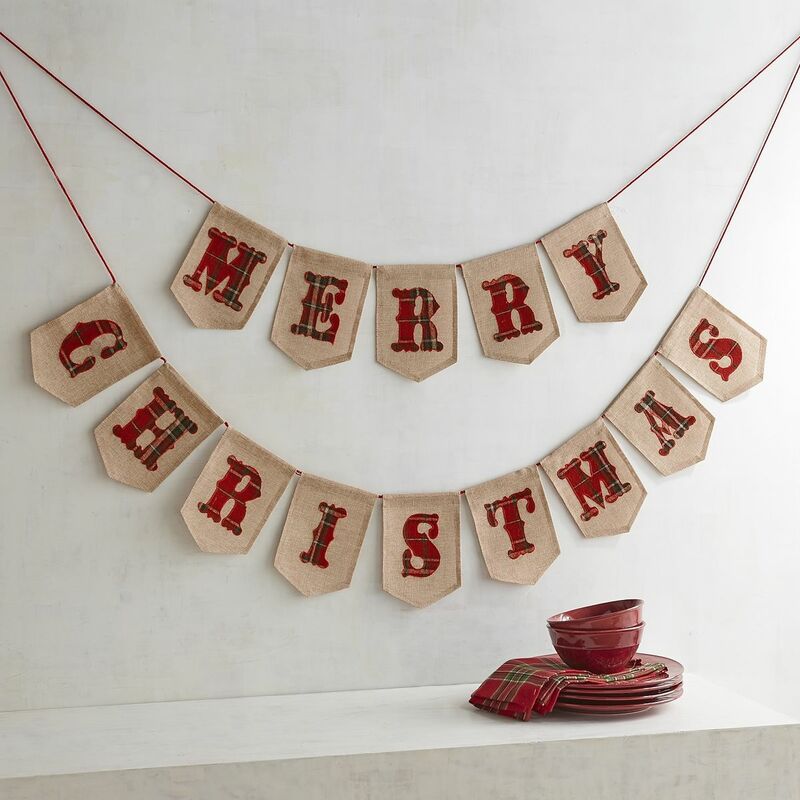 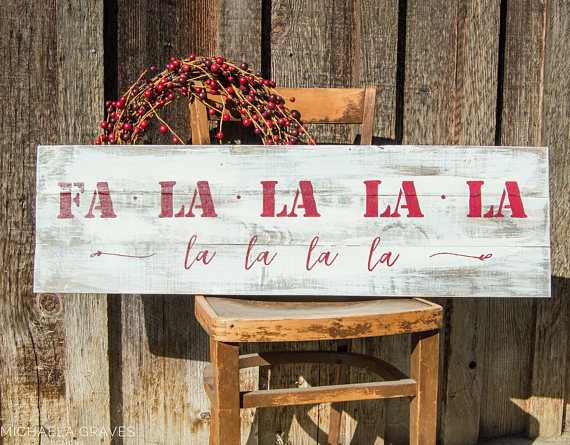 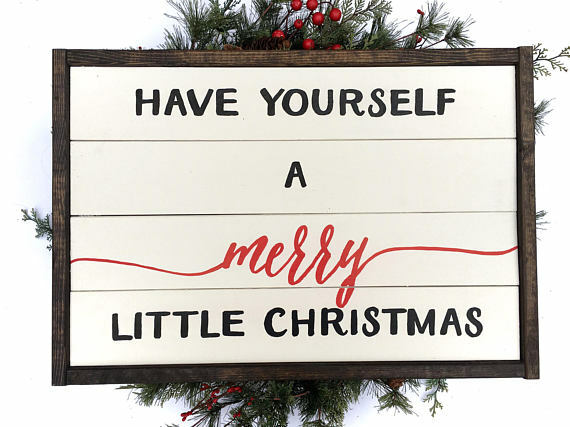 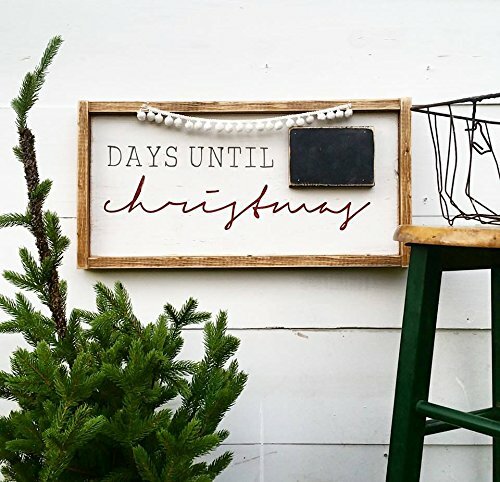 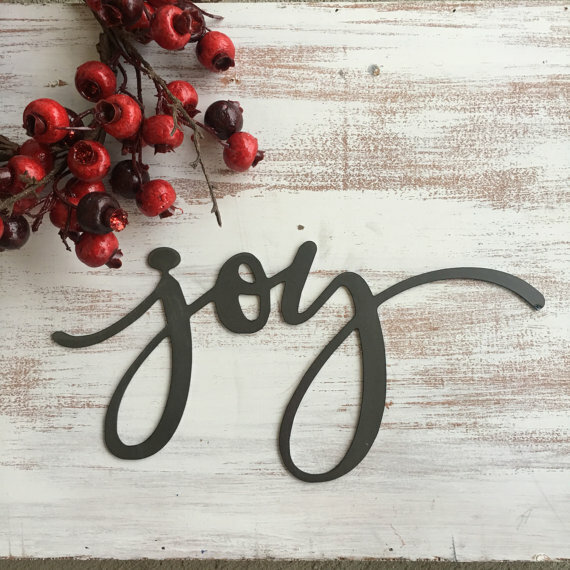 Kala from My Breezy Room found the perfect farmhouse signs to bring the holiday spirit to your home! 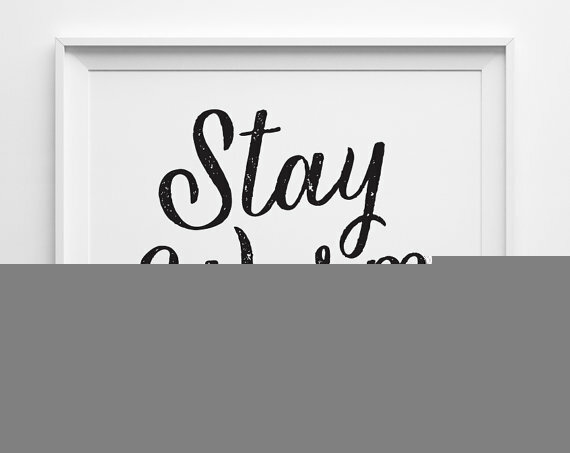 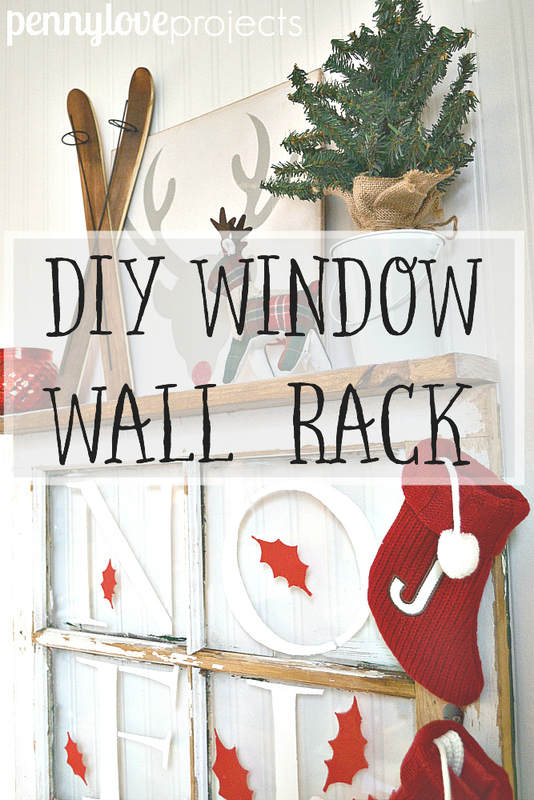 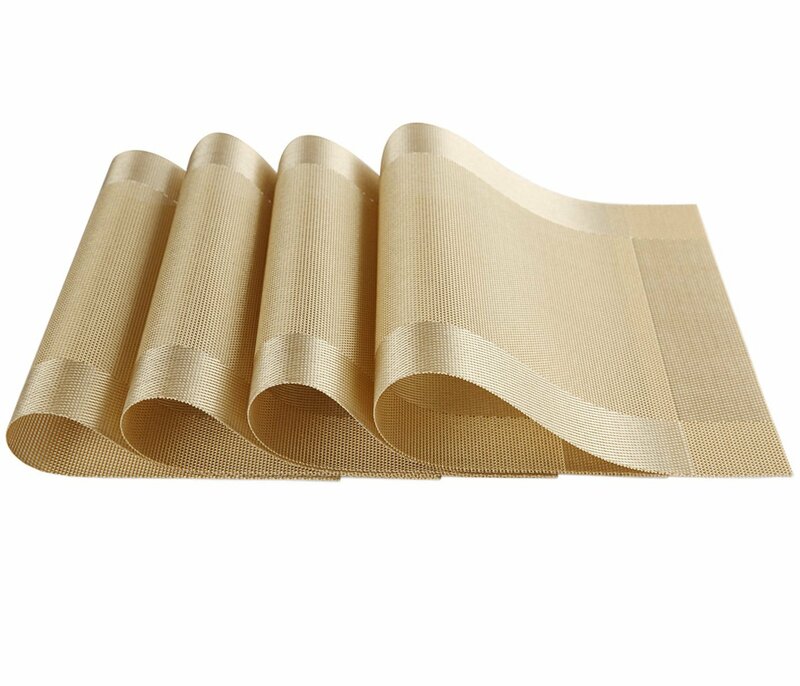 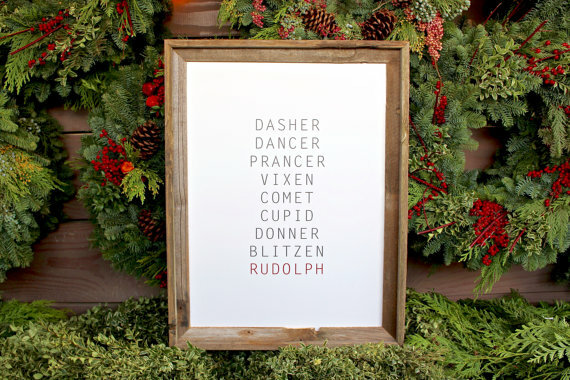 Hang them on your walls, layer them on your mantel, or fill an empty spot on some open shelving. 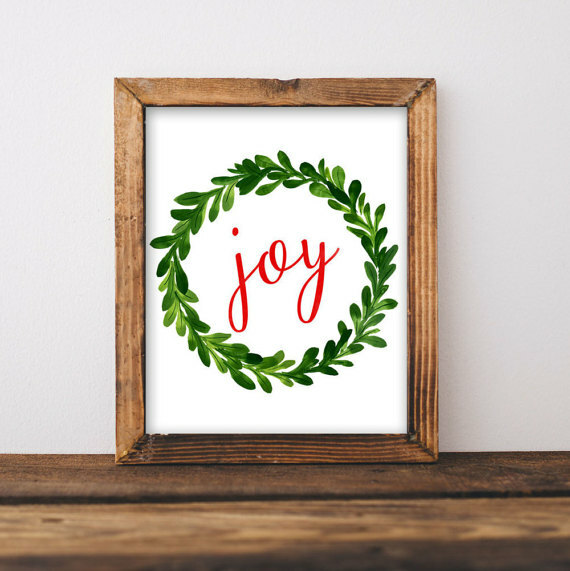 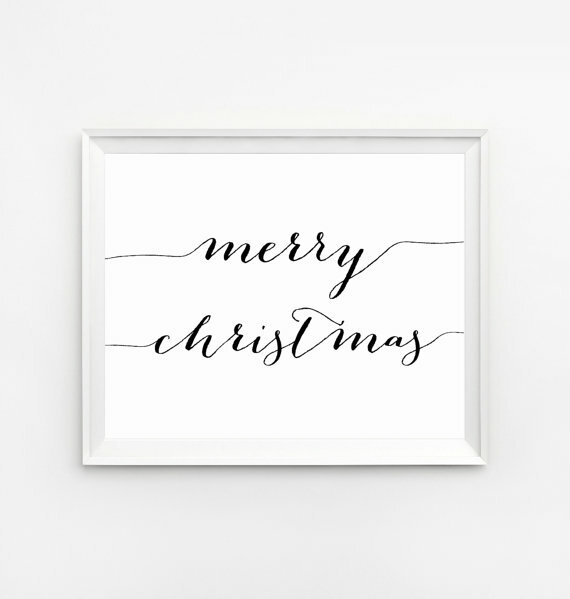 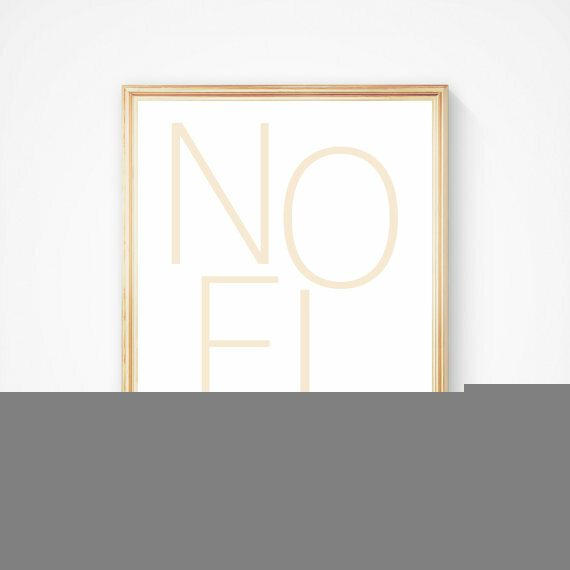 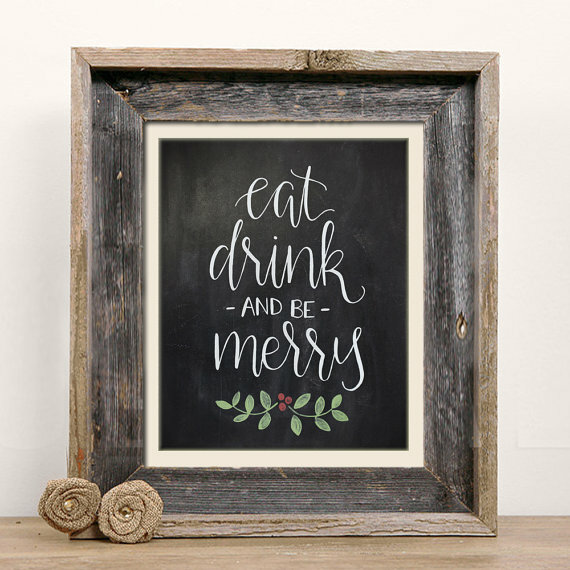 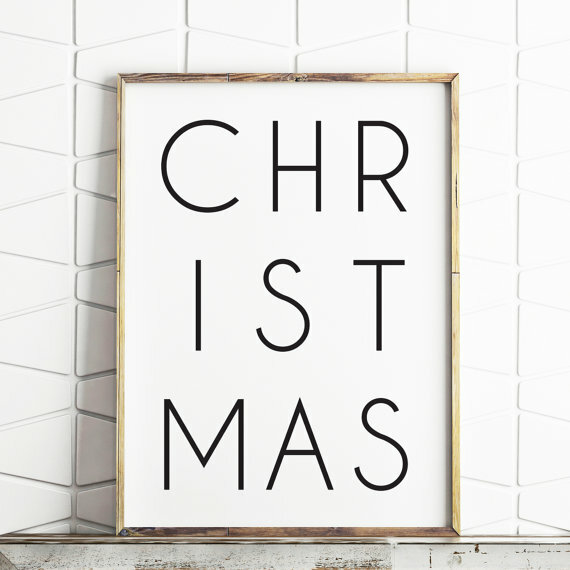 Another option is to refill your existing frames with some new farmhouse holiday prints. 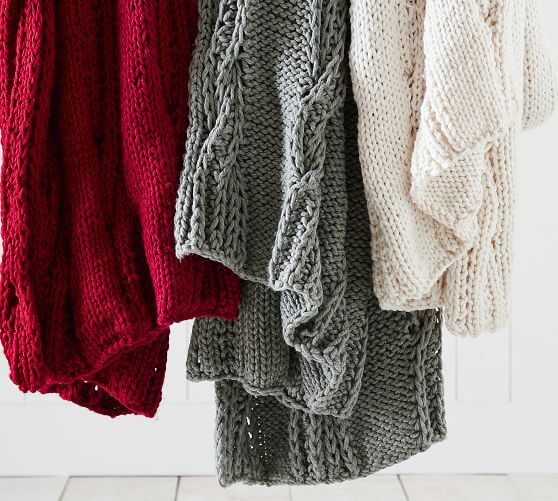 There are soooo many good ones out there, it’s hard to choose! 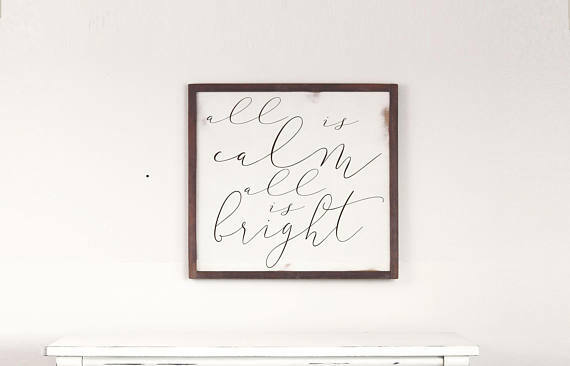 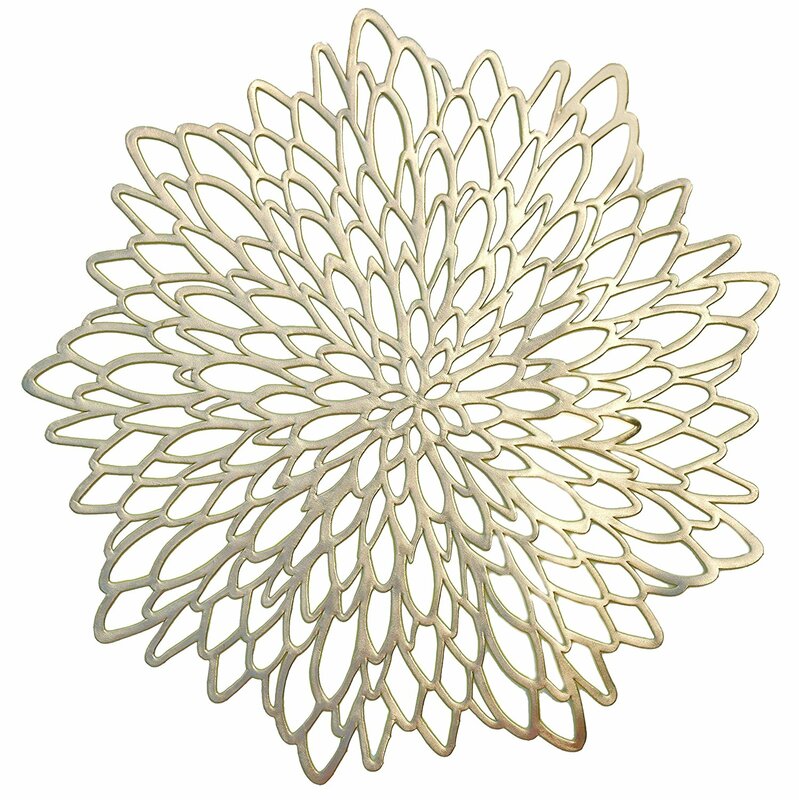 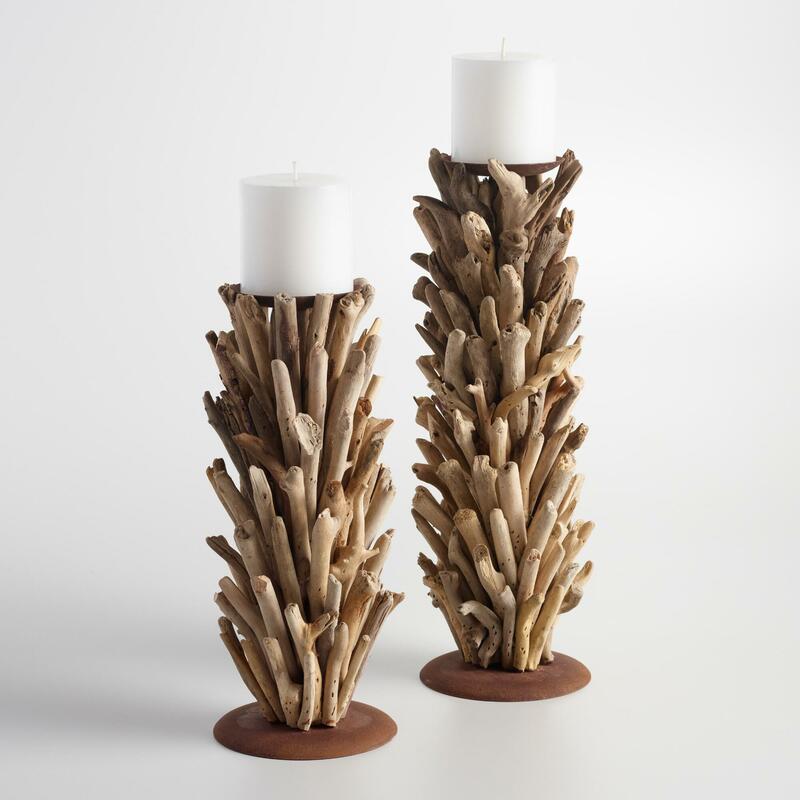 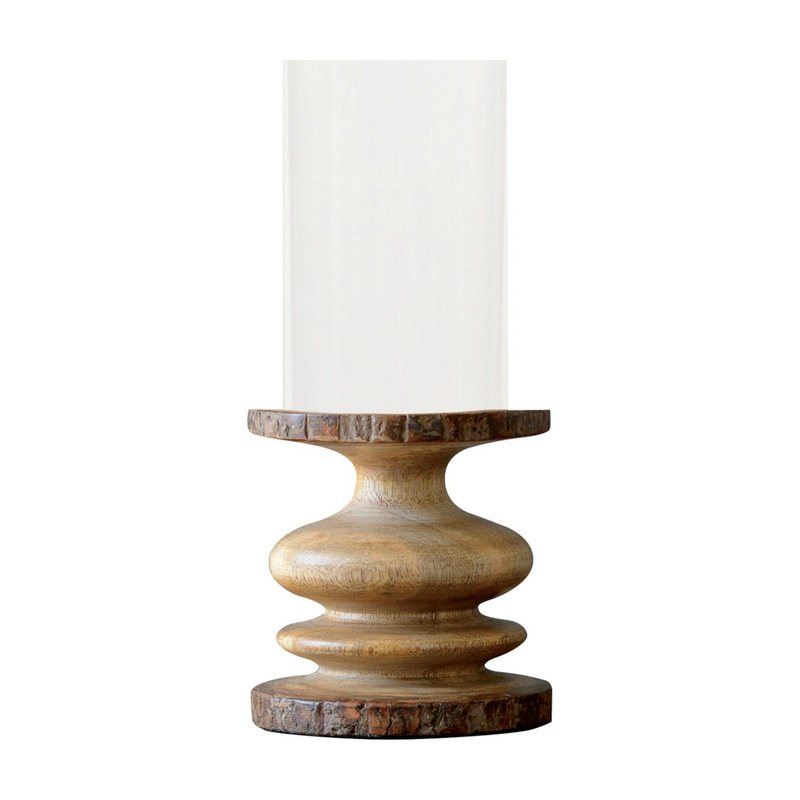 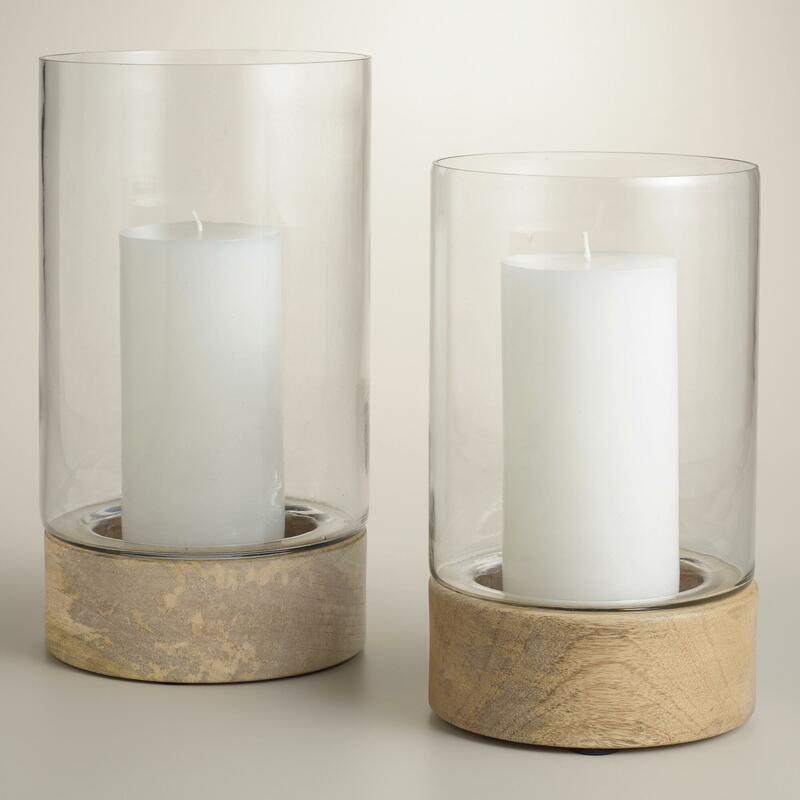 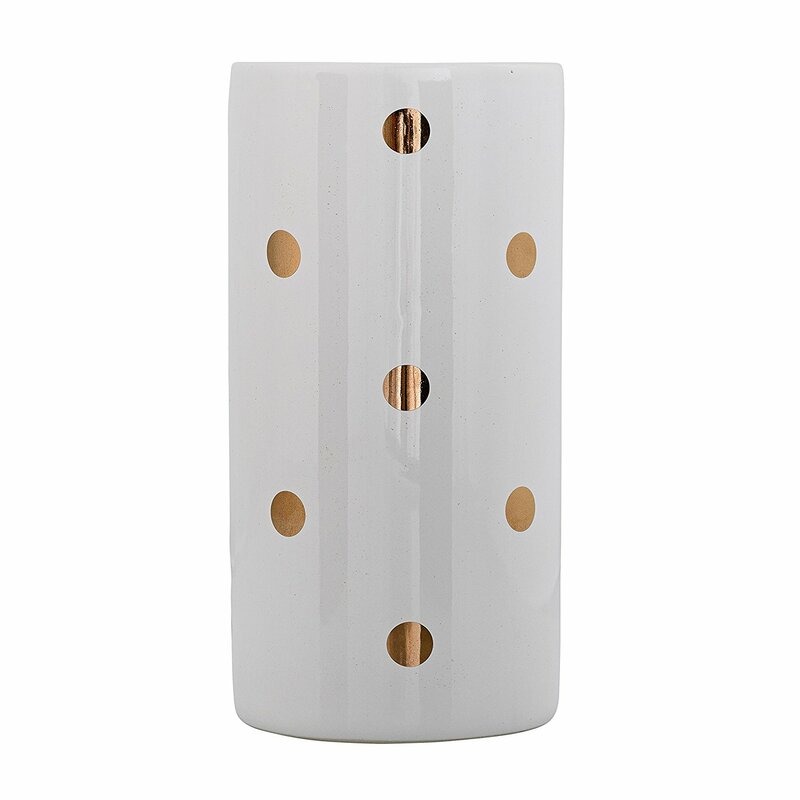 This is a quick, easy and affordable way to make a statement! 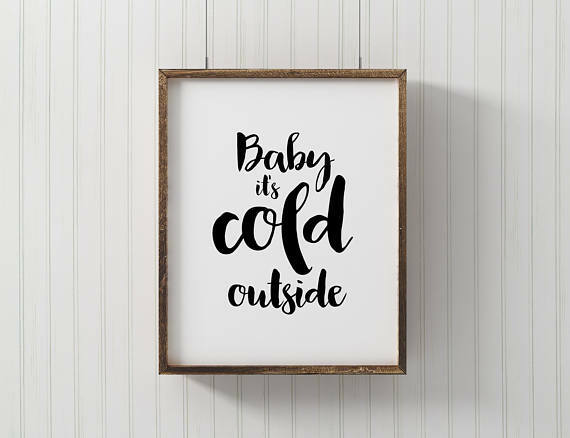 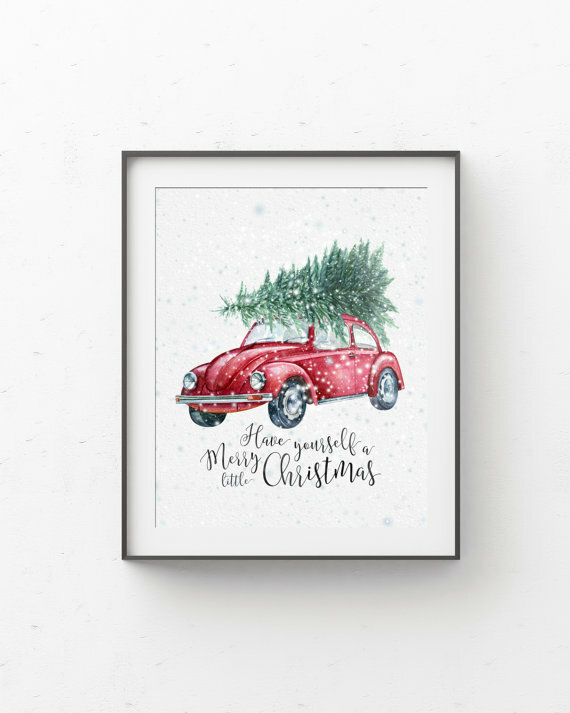 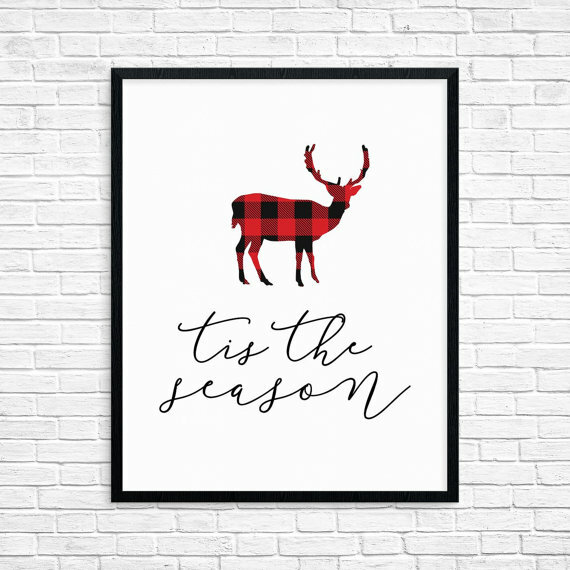 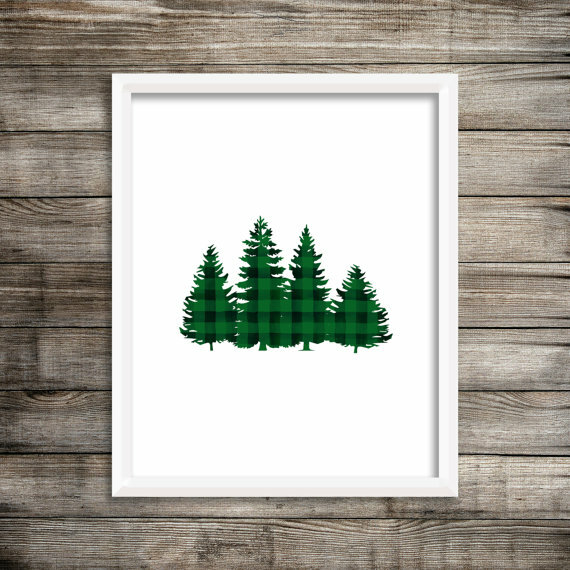 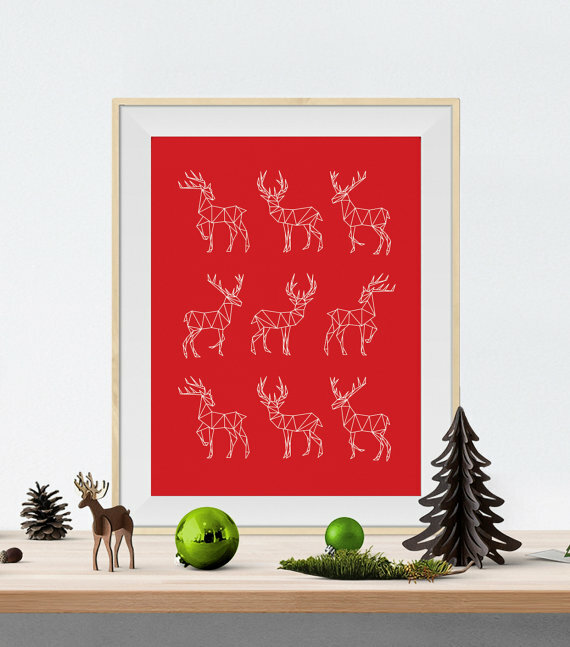 You can do something Christmas specific like traditional holiday song, or go for a print that will last all winter long like this awesome scenic print. 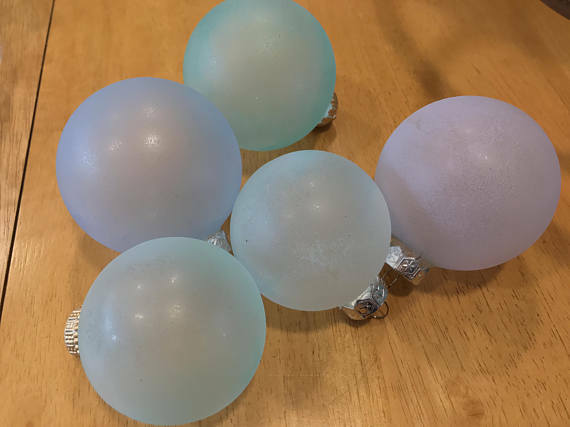 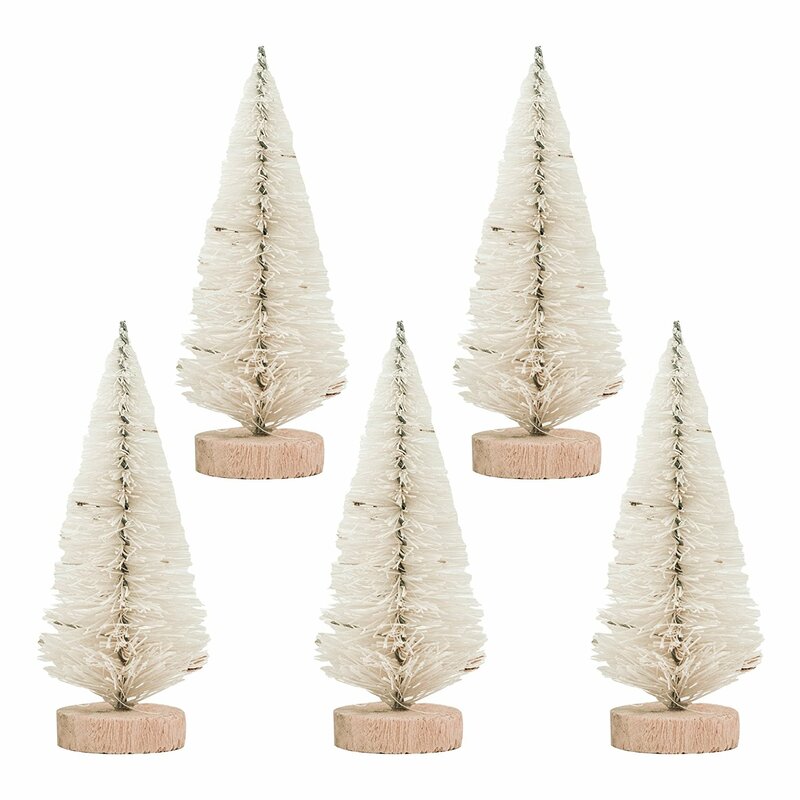 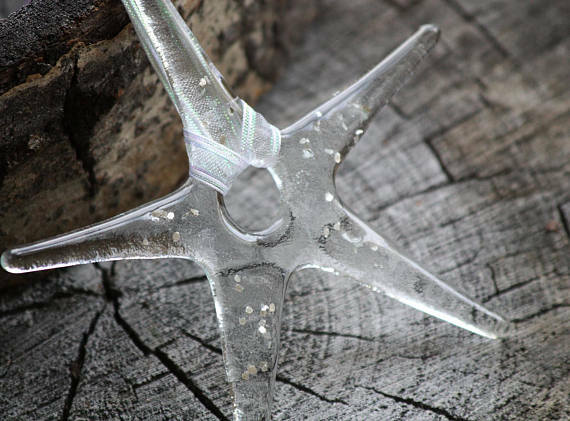 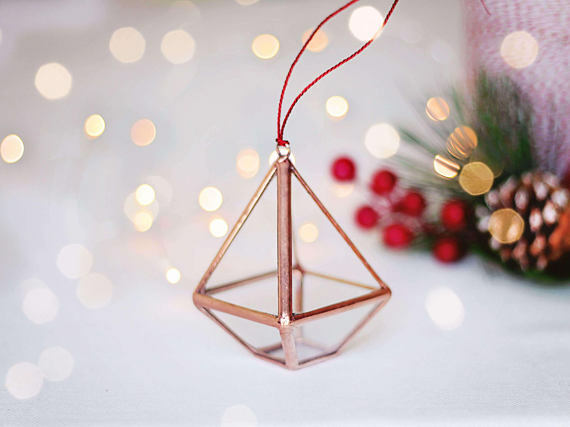 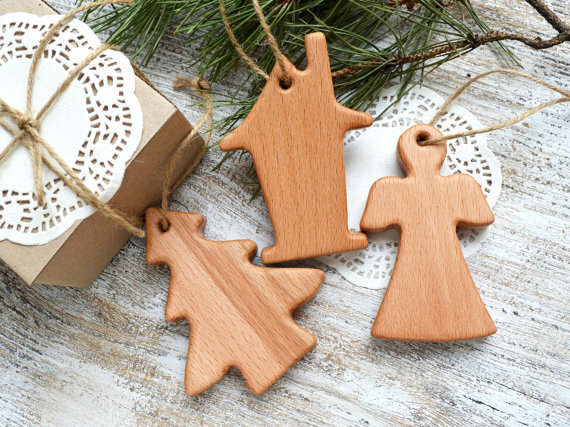 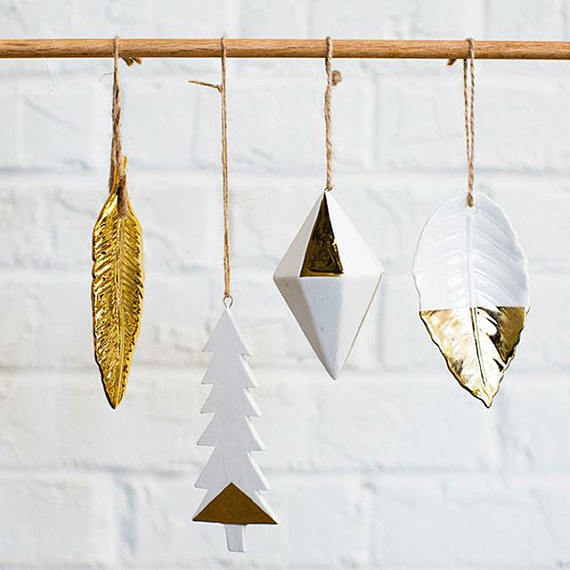 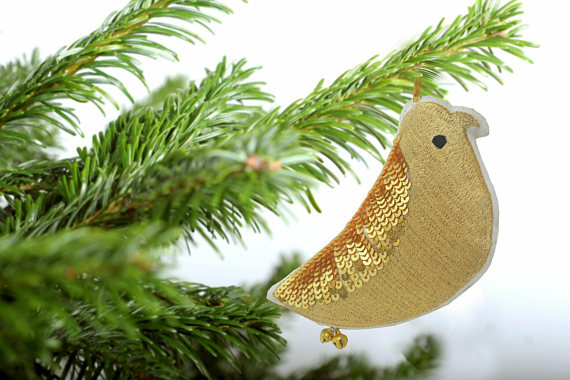 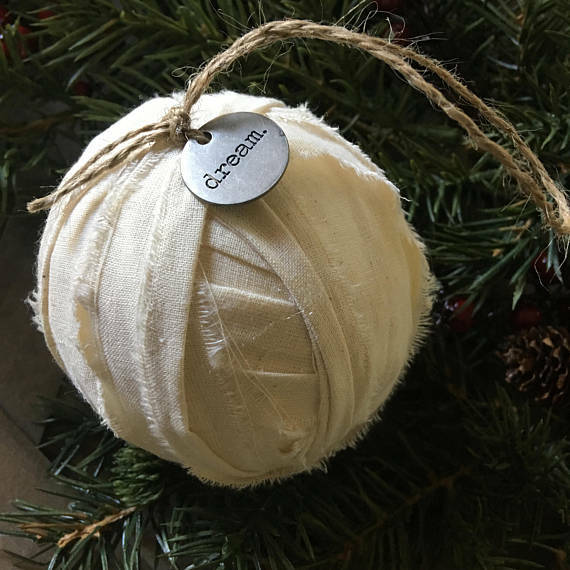 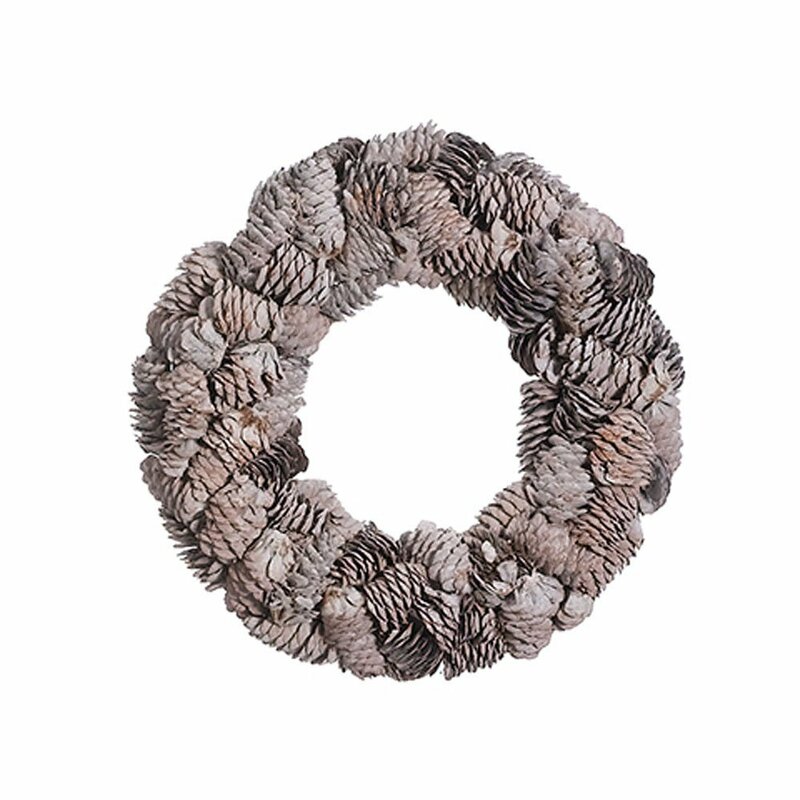 Jessica has found her favorite handmade Christmas tree ornaments that work with any style. 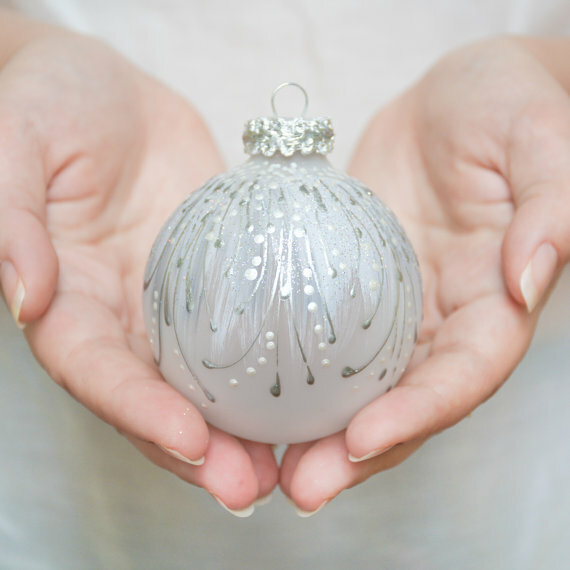 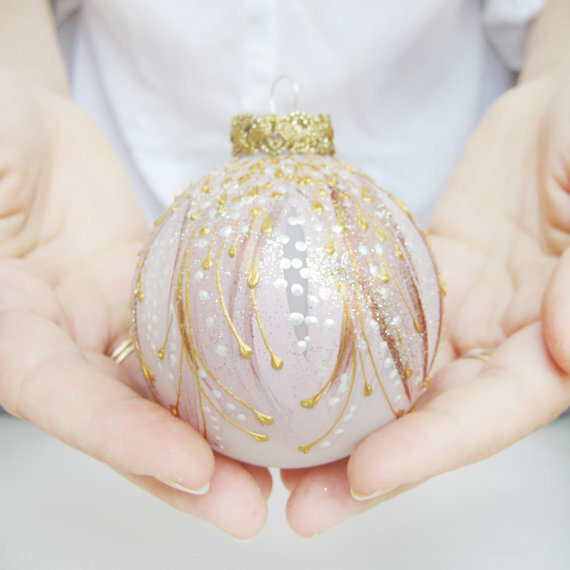 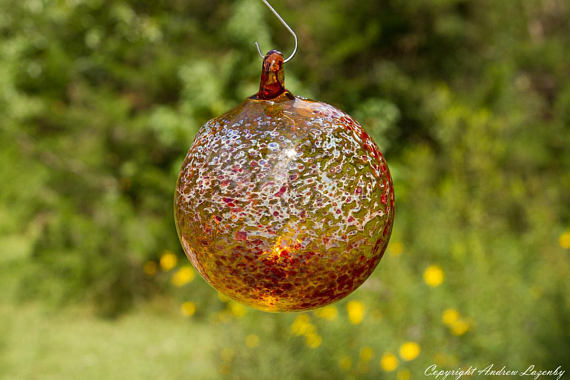 Christmas ornaments make a perfect gift for someone who has everything. 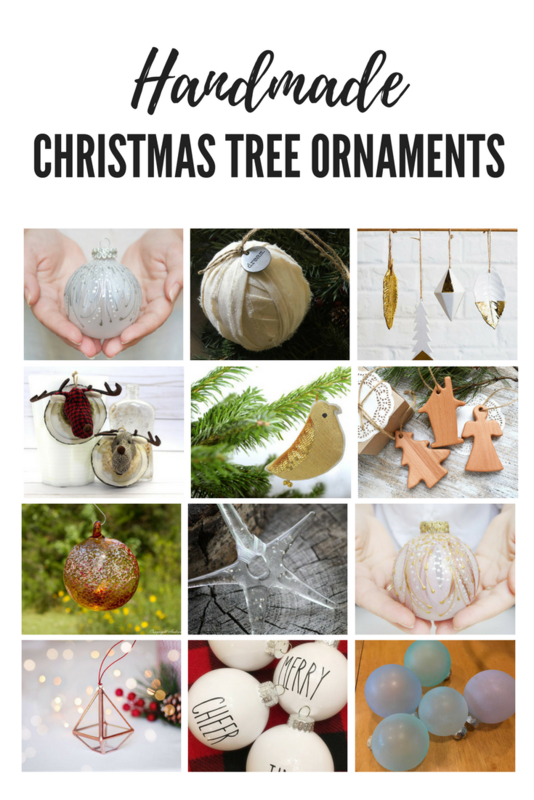 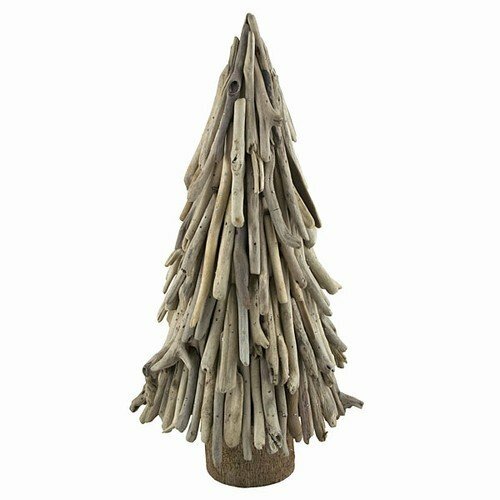 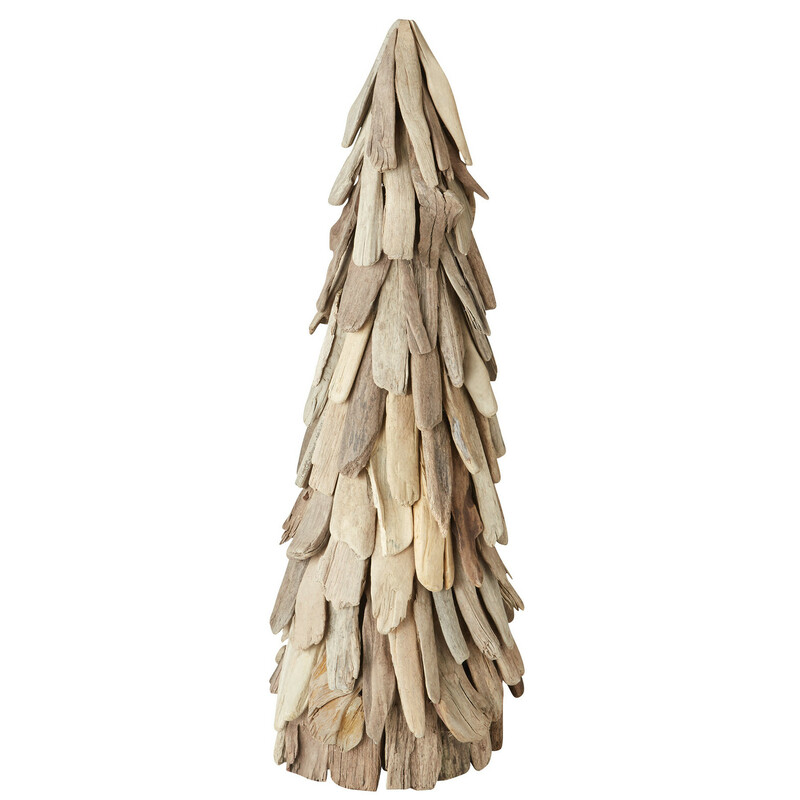 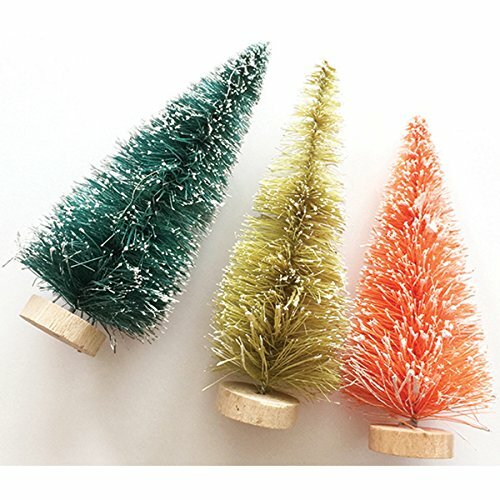 Handmade ornaments are a great way to spark conversation, and to create a unique and eclectic Christmas tree. 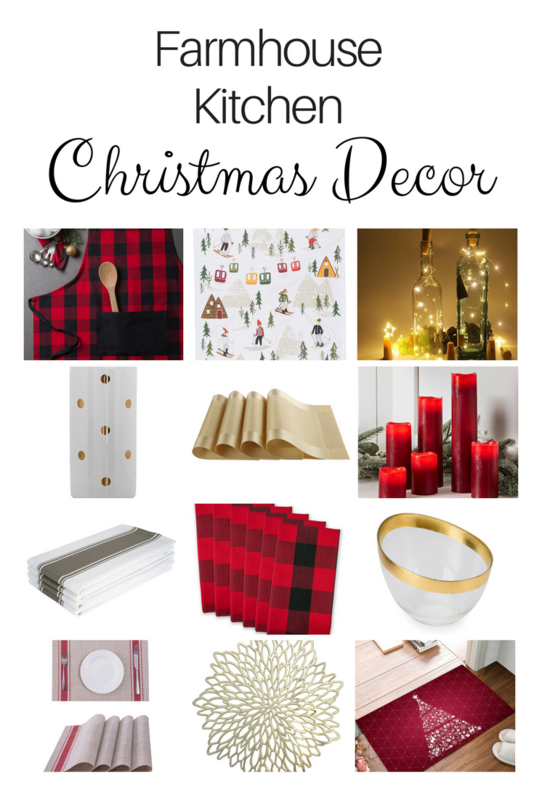 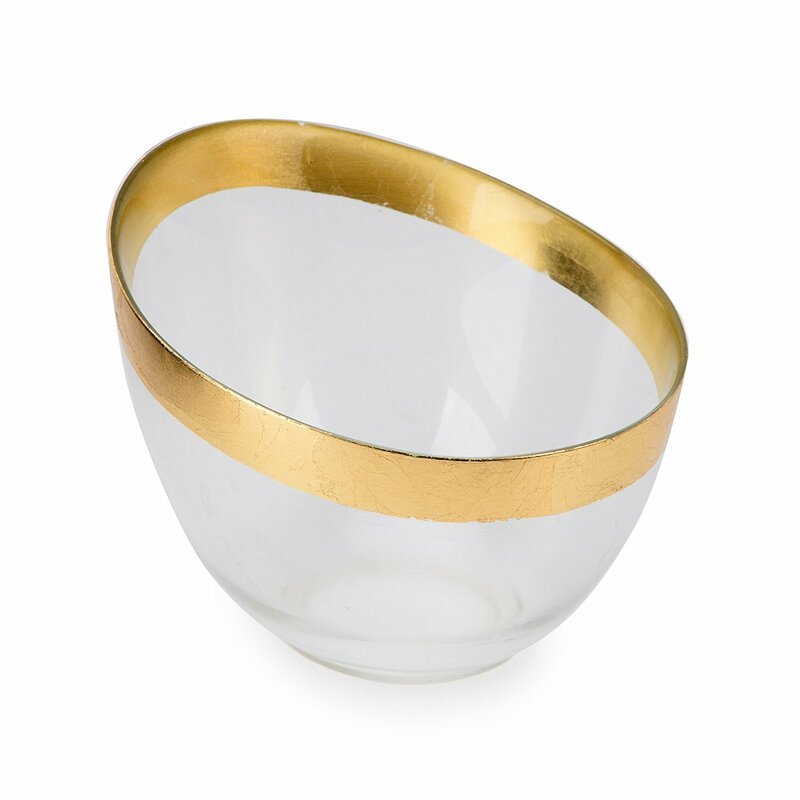 Here are some red and gold items for your kitchen to add some sparkle to your Christmas decor. 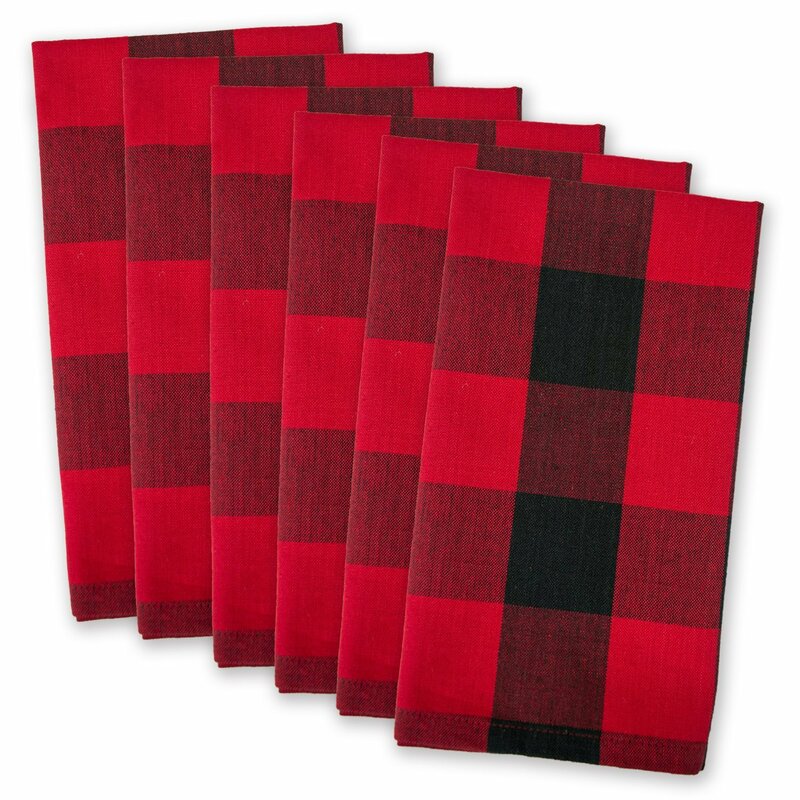 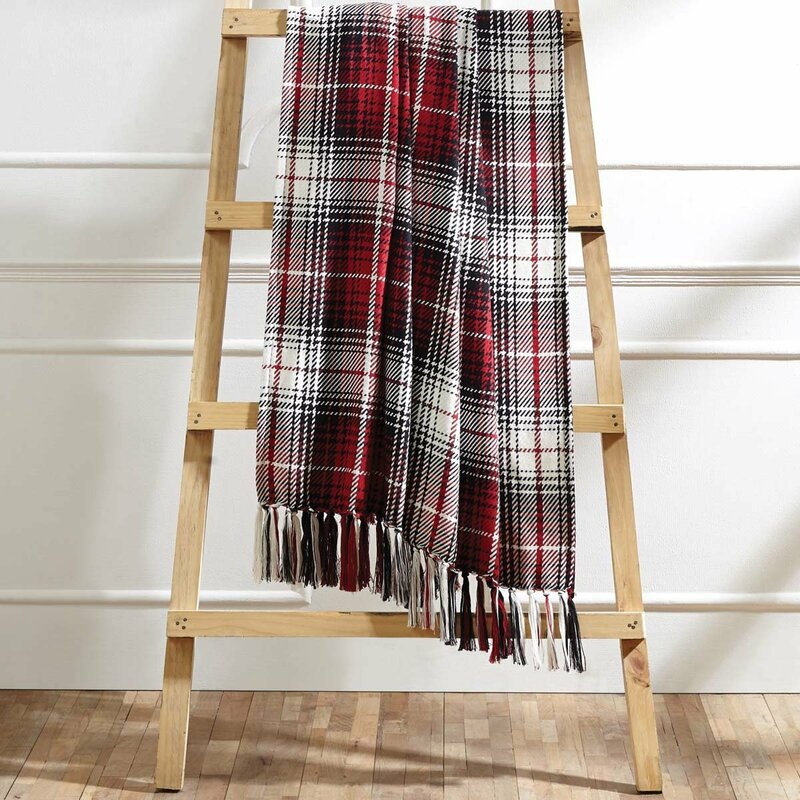 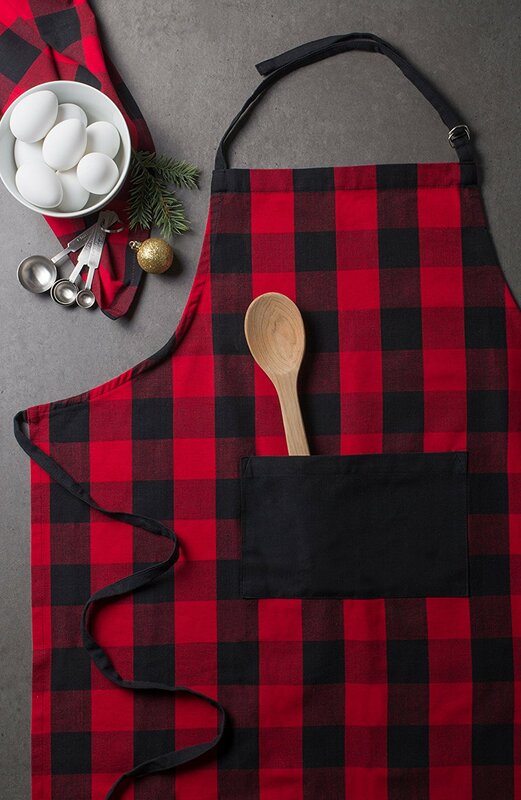 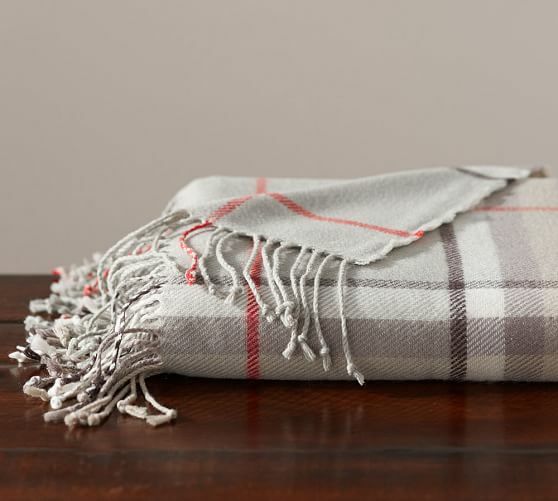 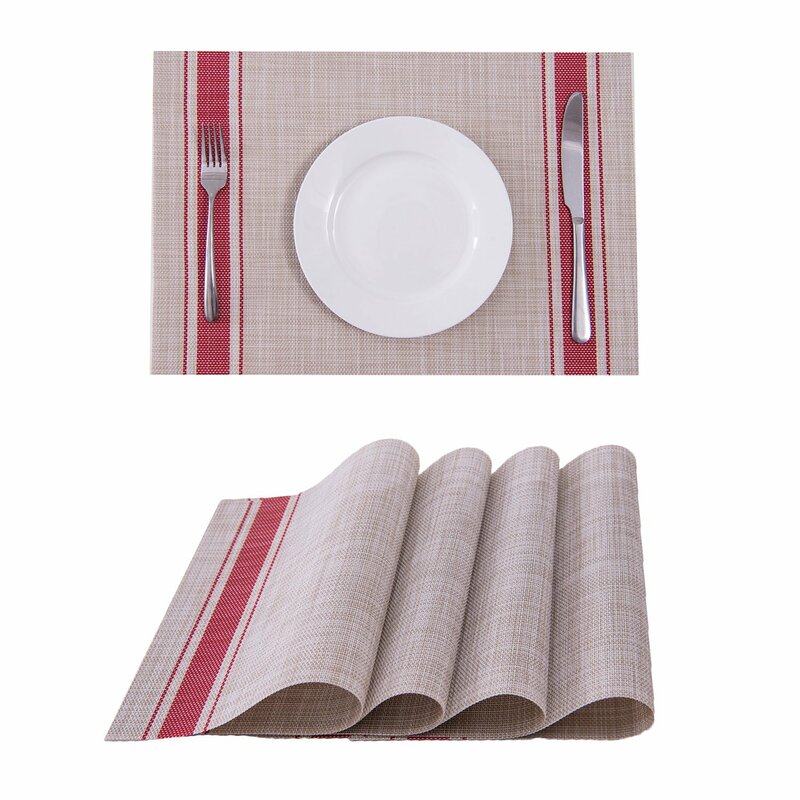 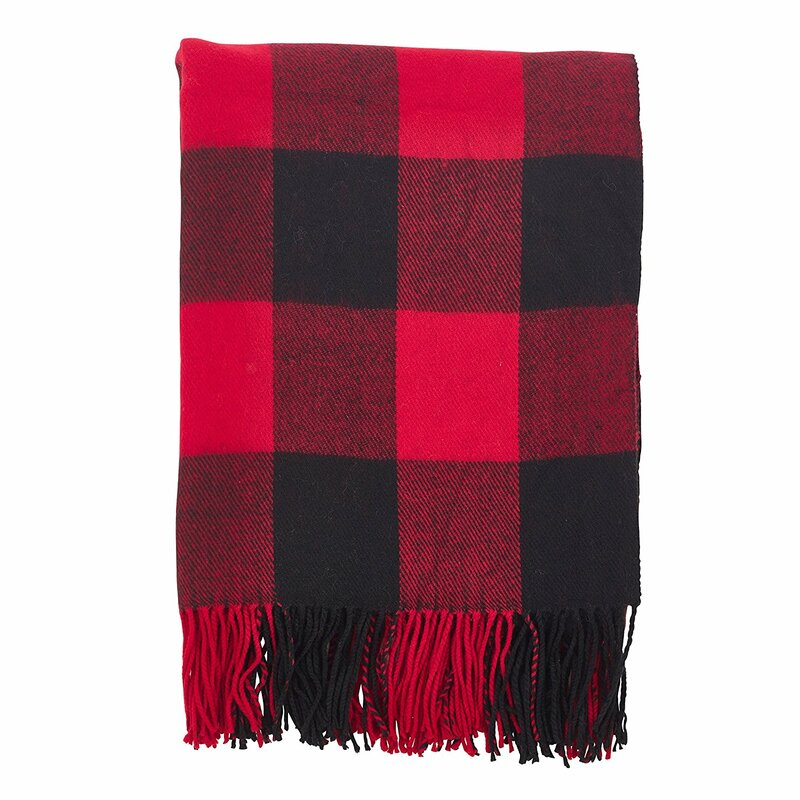 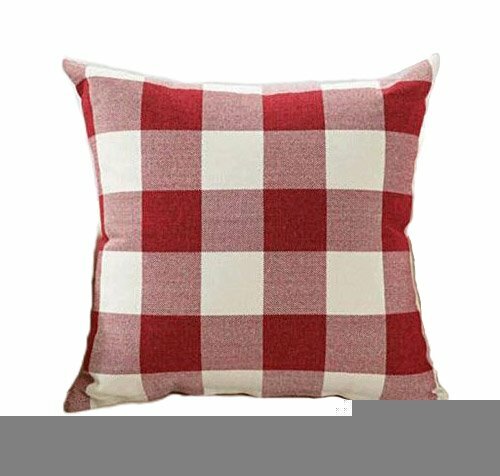 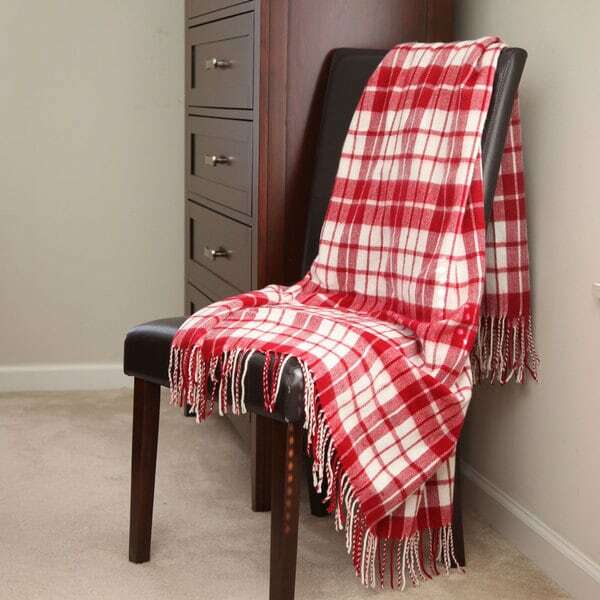 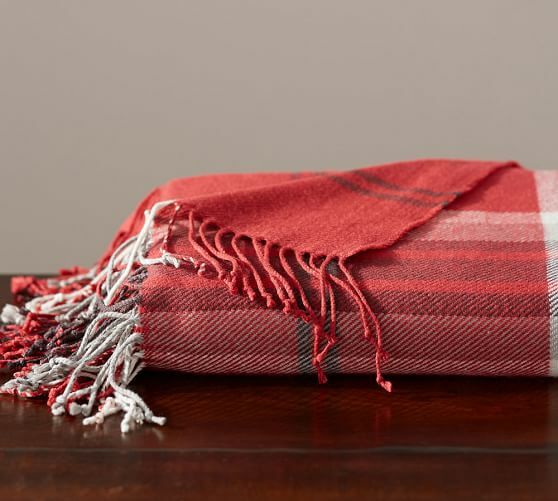 The gold accents keep it classy, while the red plaid and fun tea towels add some fun and warmth. 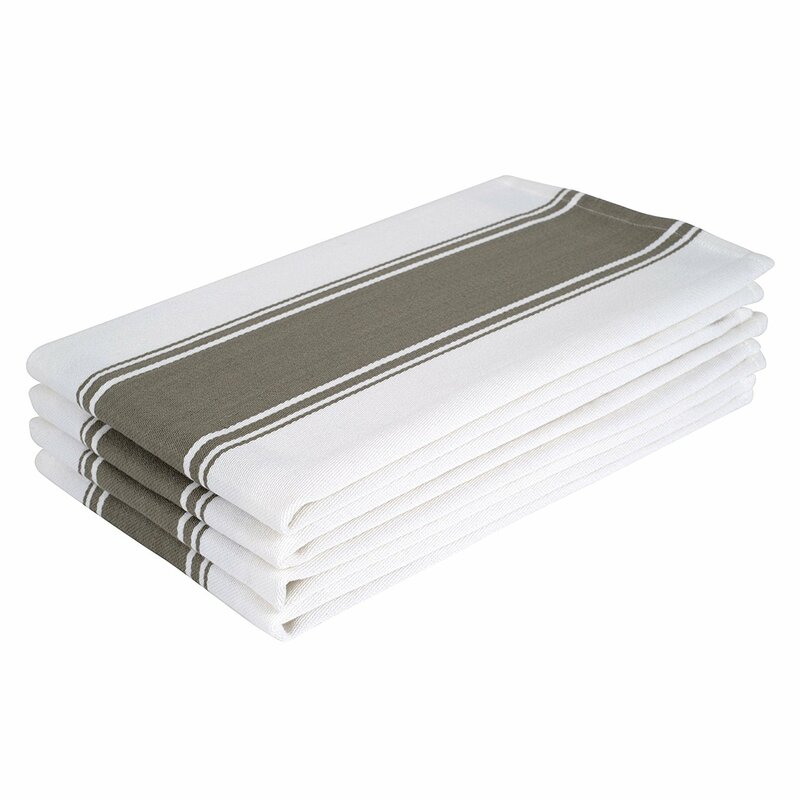 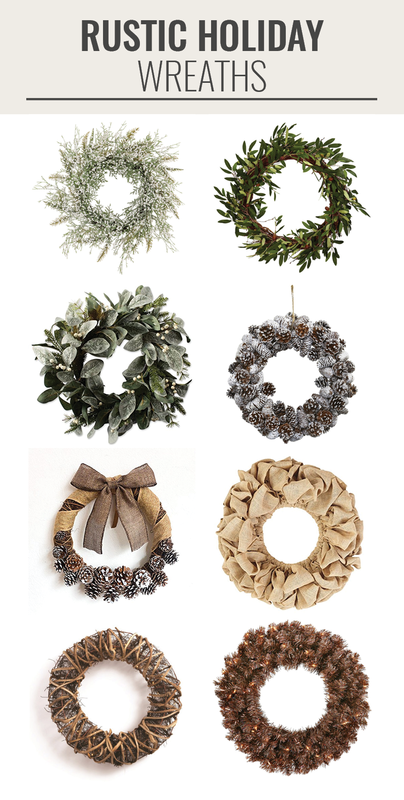 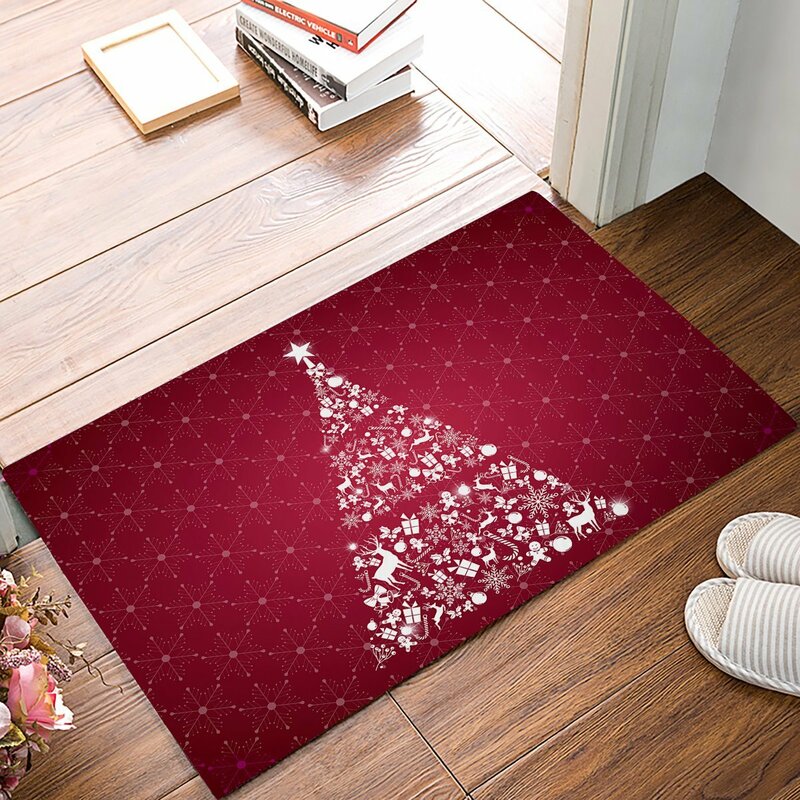 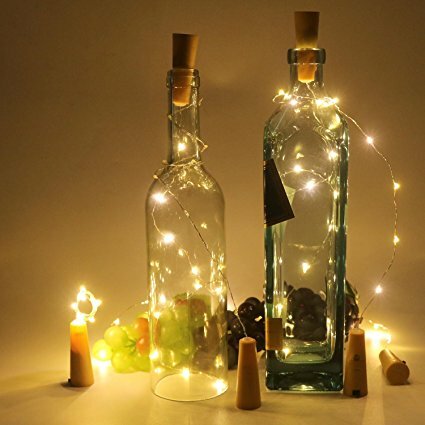 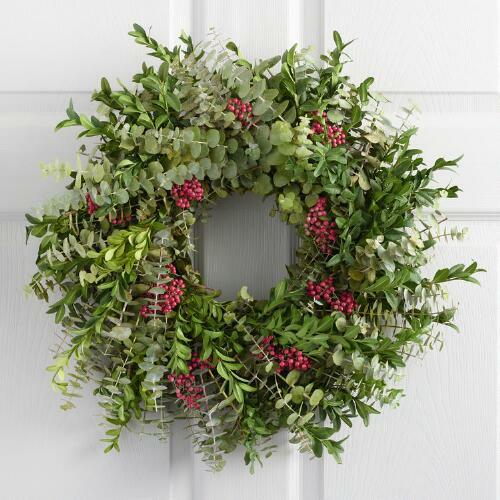 A combination of any of these will make your farmhouse kitchen ready for Christmas!